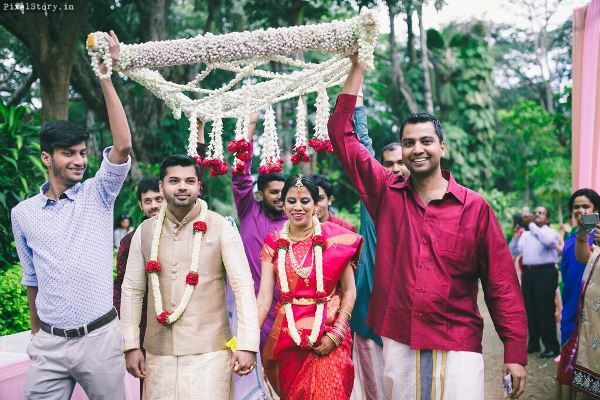 Every couple is unique in their own way and working with each of them closely leads to an etched memory which we love to cherish. 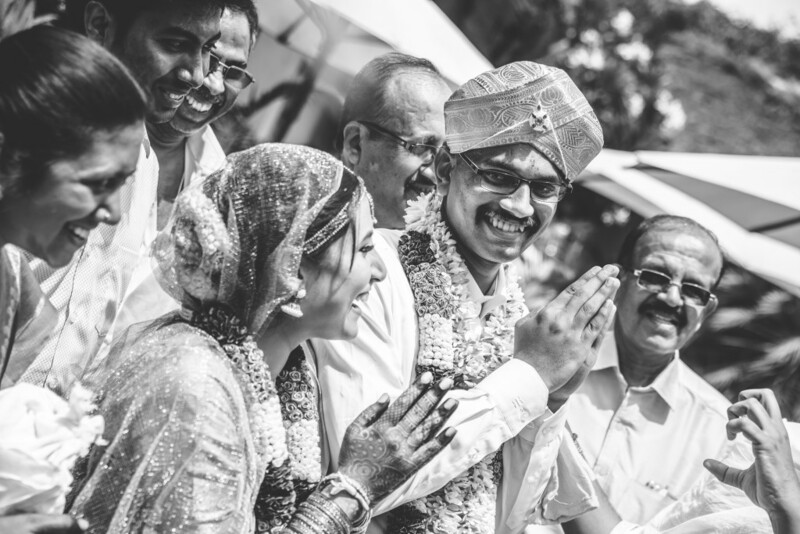 Vidya and LP was one such couple who were so passionate about every detail, and that gave me, even more, a reason to get to know them and build a wonderful relationship. 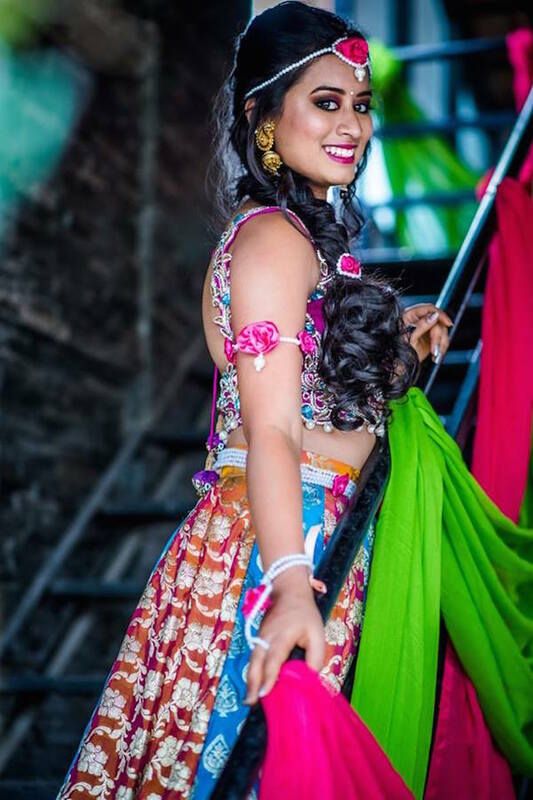 A person’s senses are so intertwined with an experience and when we come across couples who are so zealous, we love to make it the most valuable moment which creates the nostalgia and the memories later on. 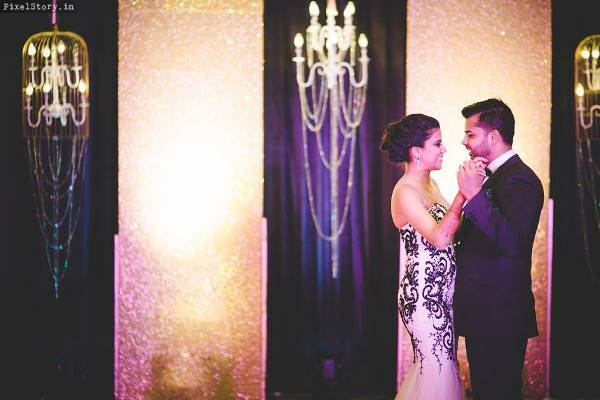 It’s a blessing that we have always got lovely couples to work with and it always keeps us going. 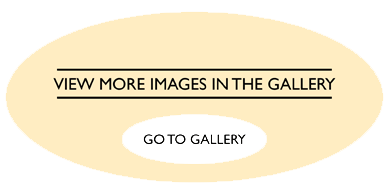 This entry was posted in Recent Weddings on July 13, 2017 by admin. 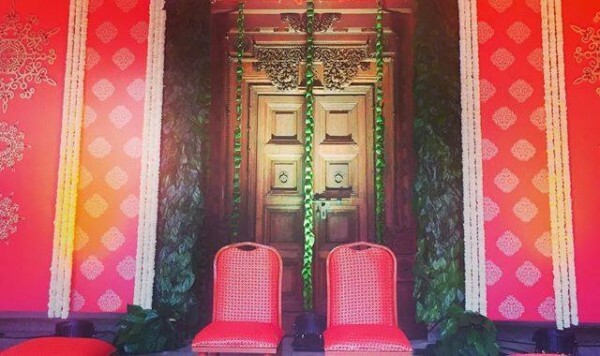 Think having a “Green Wedding” is not possible in any way? Think again. 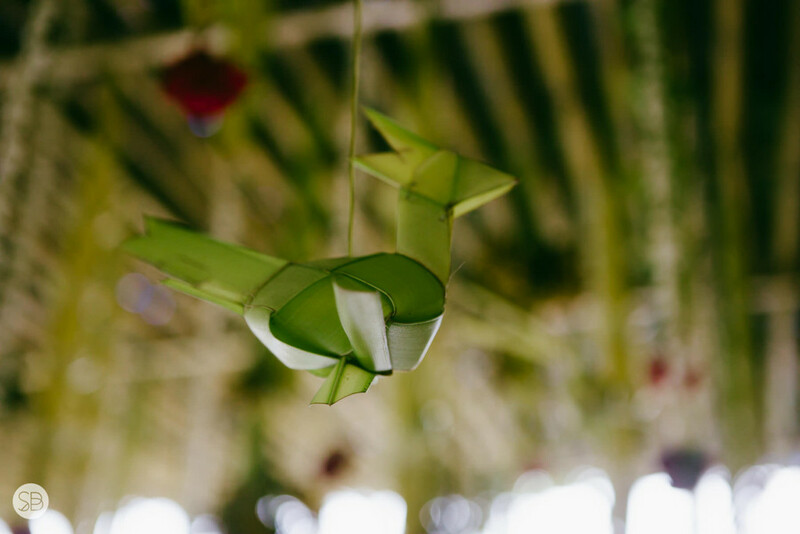 We often conclude saying having a green wedding or an eco-friendly wedding means cutting cost and getting something cheap, which is just wrong, I would rather say it’s an effort made by each couple to decrease the impact of their event on the planet. 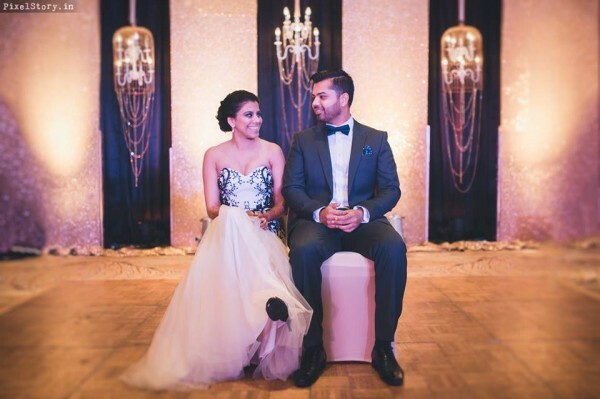 It’s not often that you will come across a couple who actually make a conscious effort to look into the consumption of resources during their Big day. When we actually research deep into this there are so many ways one can contribute to helping our environment and all of which you can do without sacrificing your budget, vision or sanity. All you need to do is put a little extra thought into this and you will find your answers in the smallest ways possible that you never imagined. Firstly, let’s look at it what actually is possible in a practical way. Venue for a start: The first big ticket when we get into the entire planning aspect. 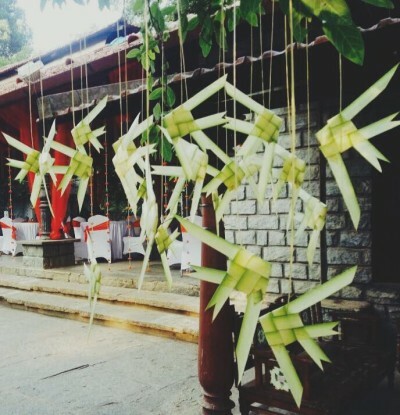 Choose a venue that has some points standing out supporting eco-friendly approach. Say solar power, outdoor venues that need no electricity for a morning wedding, venue that has a waste management plant. 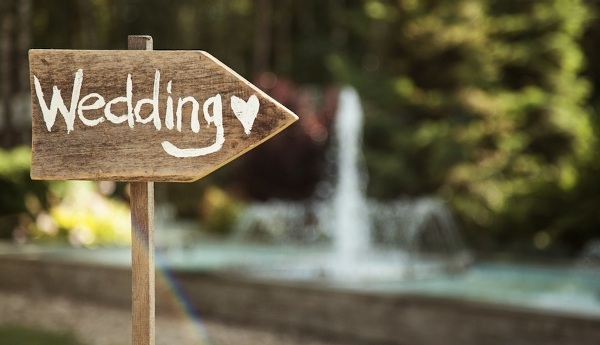 Trying to refrain to one venue for all your wedding events instead of keeping them in multiple locations where you also need to consider that the guest needs to travel all the way. So think wisely and execute it in a smart way. Well, you need to invite your family and friends: Invitations a big mass of wastage, don’t you think. Imagine the amount of trees being cut down for this. 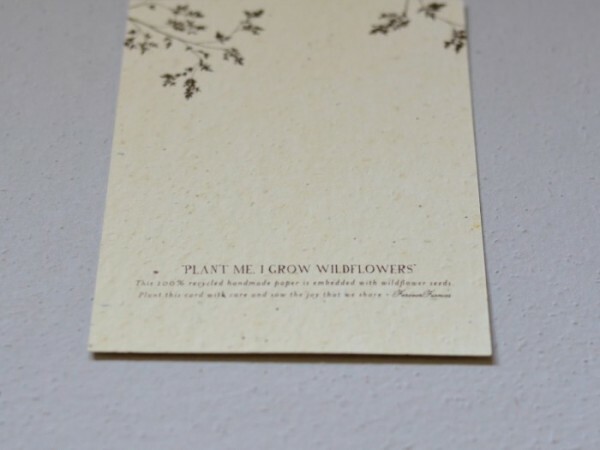 So, going green means definitely trying not to go the traditional way of accumulating paper invites. Solution for a scenario like this is to try and look at recycled paper for those who can’t avoid it for 20 reasons. Well technology as evolved so why not make it all digital and paperless. 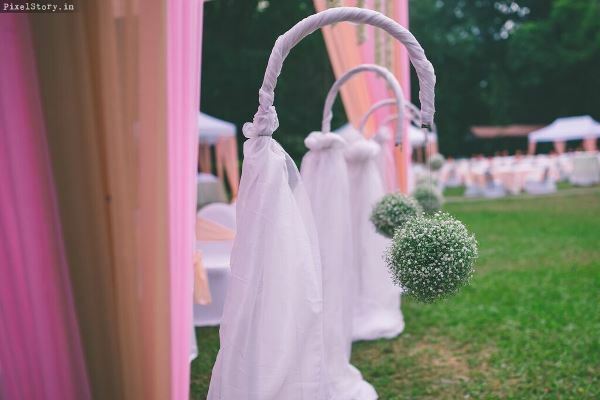 There are so many Wedding apps like WedCraze, PugMe, etc… Which can be used that will not only help in sending out invites but also keeping a tab on the RSVP’s, the various activities planned across the wedding days and the details on the events and location for the same. 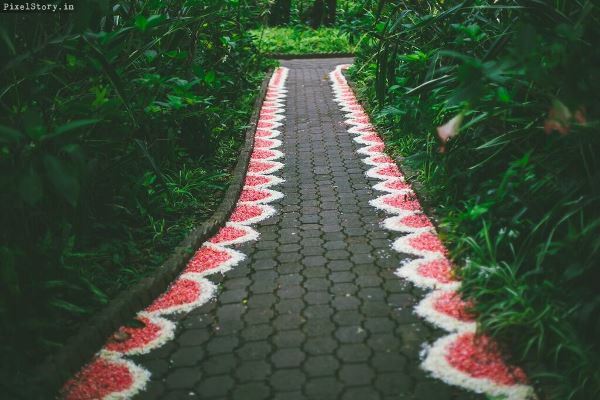 So go ahead and try something different and make your wedding stand out. 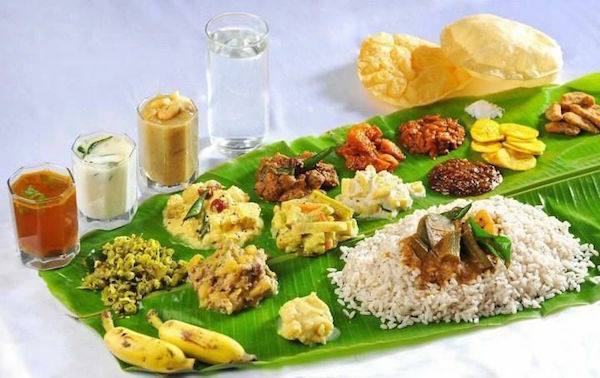 Next big wastage that we need to consider is the amount of food: Well, it is always best to keep a minimum number of your guest list. Just because you have an acquaintance with someone you need not invite their entire family, even so you invite make sure they eat to full and leave. 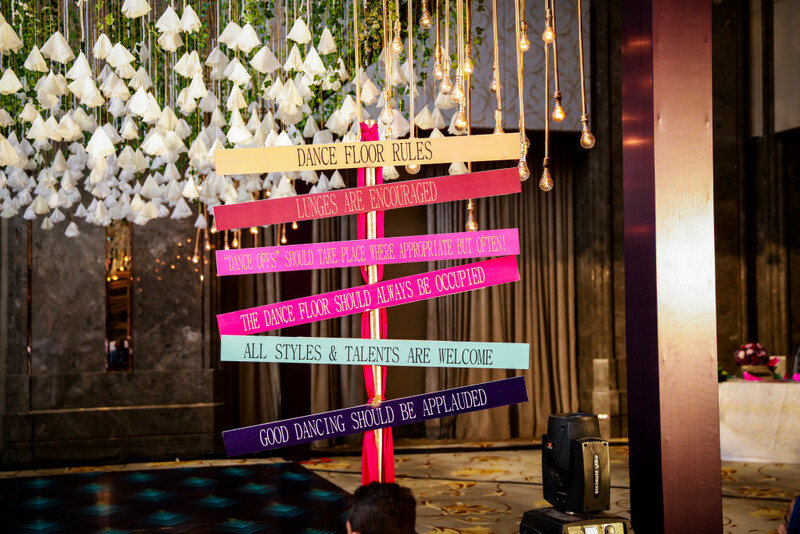 The minimal guest-list you have the minimum wastage it creates. 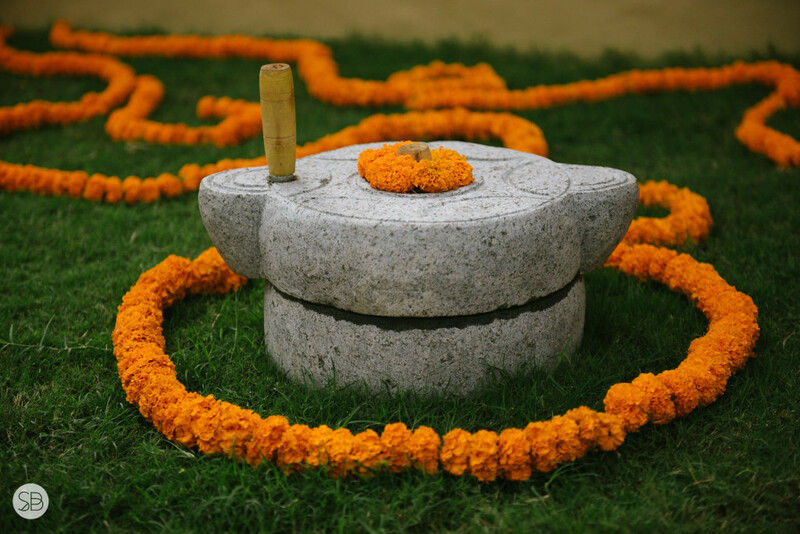 In a way in a country like India where family and friend circles are wide and close knitted it natural you can’t avoid the number of guest-list. 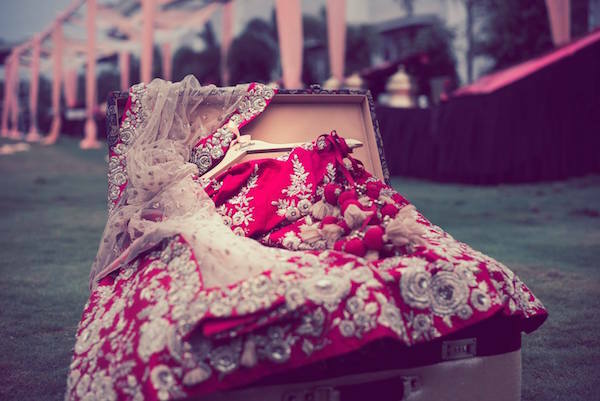 But one can definitely plan ahead on how to curb wastage during your wedding. 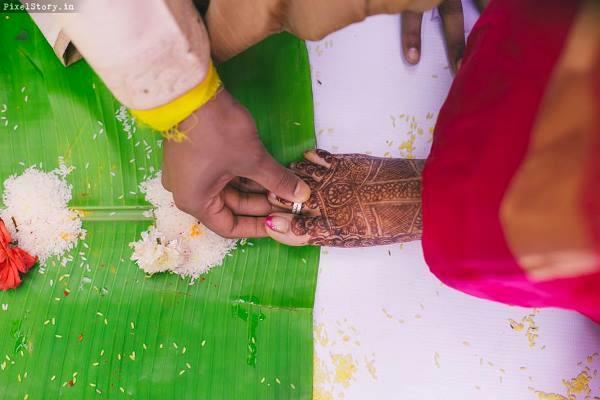 Some tips that can be thought of are using Banana leaf for all the meals works well for a South Indian Wedding, which can be later fed to the cows. One can also call in an organisation that can feed the hungry with the leftover food. 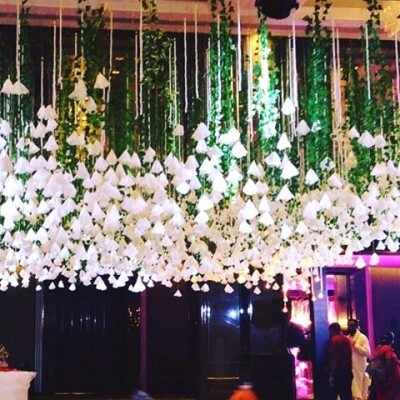 Finally the main wastage that you need to consider when you think of a green wedding Oh! Yeah. 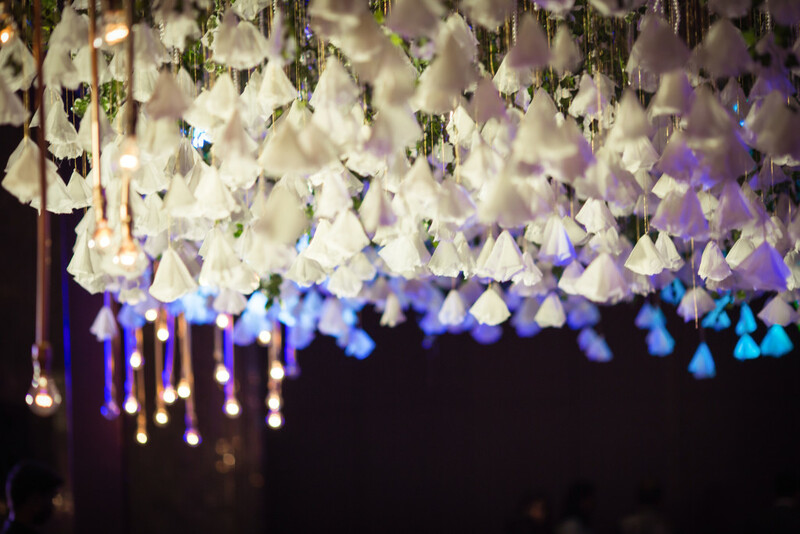 Couples who love flowers: Well, we agree it makes everything beautiful. But putting a little thought into this can avoid a major chunk of wastage. 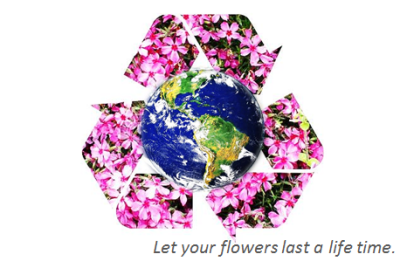 Let’s not wait, but be the first and make your wedding day something to remember for the years to come and for making an effort and difference to the planet we live in. This entry was posted in Recent Weddings on April 22, 2017 by admin. 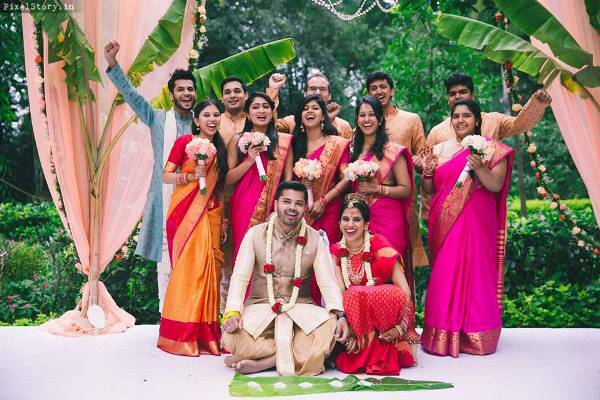 A wedding fiesta it was and we as wedding planners really have to tell you how beautiful and wonderful are each couples that we come across. 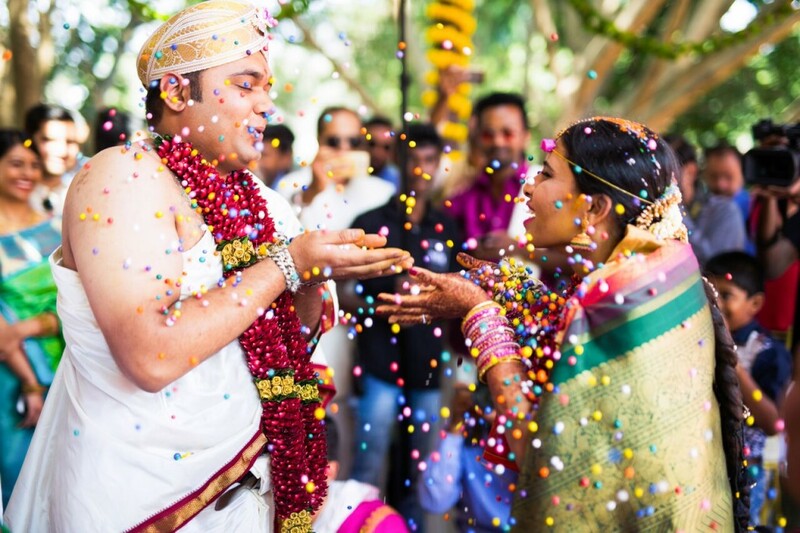 We would like to give you a brief on Rashmi and Karthik’s wedding, a couple who blew our mind away. They were truly made for each other and complimented each other so well. 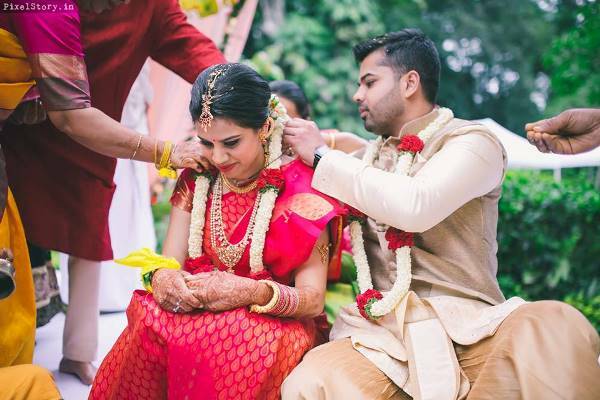 It’s often difficult to find a couple being calm and easy to work with from the time of interaction till their Big day and here it is Rashmi and Karthik’s wedding is something that we have to tell you about. 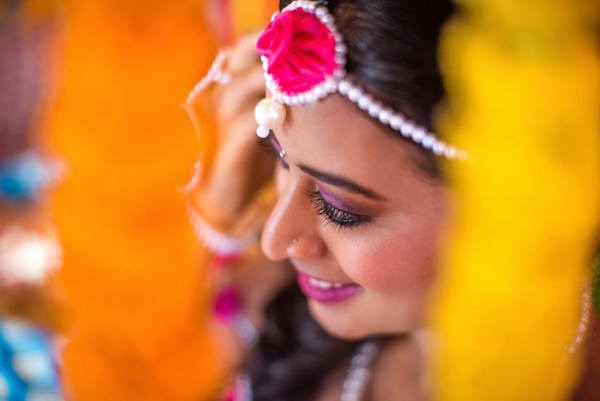 Rashmi approached us almost a year before her wedding and we really connected off so well with her and planned it as per what she dreamed it to be. 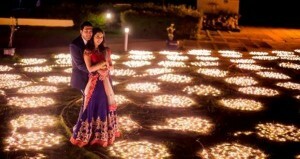 We discussed on the various events that she had planned for her wedding. 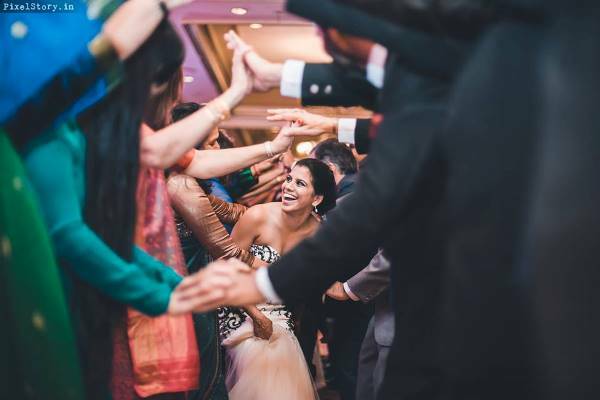 We started her wedding celebrations with the Sangeet which was held in Shangri-La an event where every single guest proactively got involved with each one proving anybody can dance. 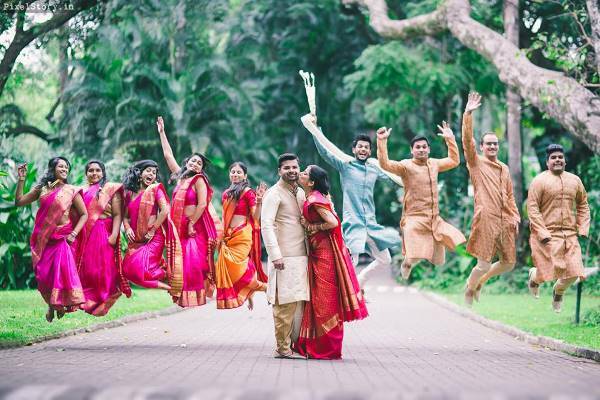 Post this they had their mehendi and varapuja ceremonies the next day in Tamarind Tree followed by the most awaited day for the couple. 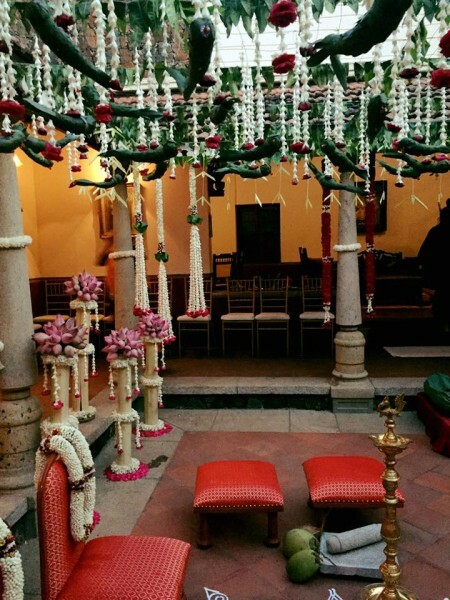 The wedding was also held in Tamarind Tree in a very traditional style with a decor and detailing planned just like how Rashmi wanted it to be. 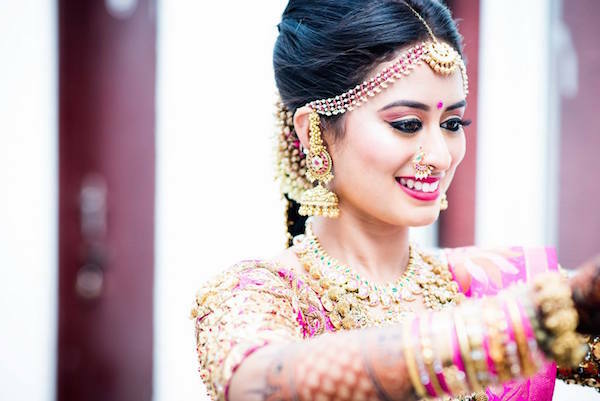 Rashmi even to date says that she miss talking to us which really made us realize that it’s a bond that we create forever and does not end with the wedding day. A wonderful family who always had a smile anytime and we absolutely loved them all. 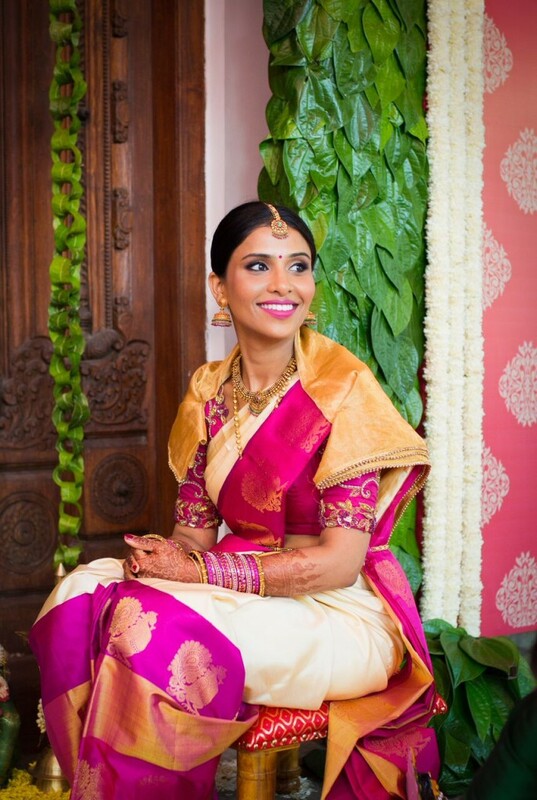 We also take this moment to tell Rashmi and Karthik that we are so grateful that you gave us this opportunity to be a part of your wedding celebrations and for being so wonderful. We wish you and your family all happiness. 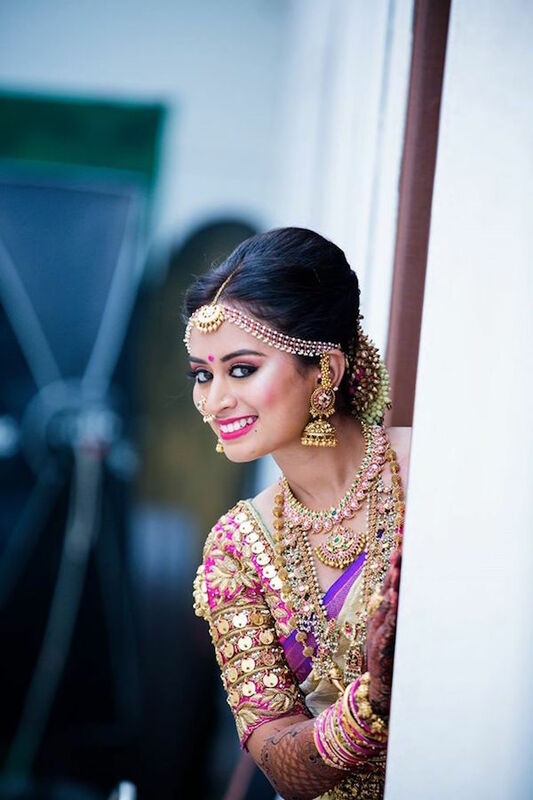 A bride who definitely is one of our favorite the one whom we miss talking. 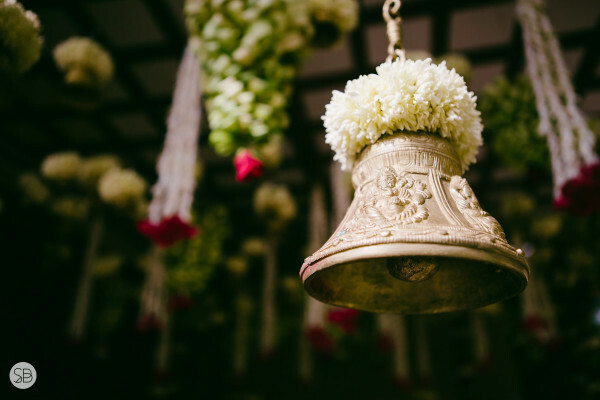 This entry was posted in Recent Weddings on April 6, 2017 by admin. Well, we realized it’s been a while that we updated on the latest weddings we have been busy with over the past couple of months. 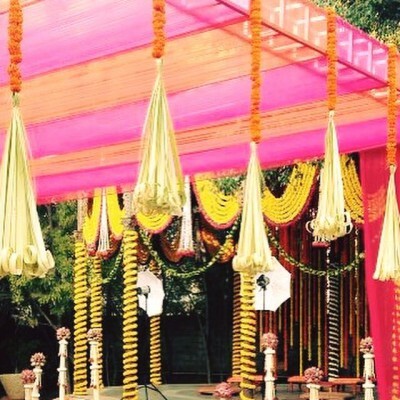 So to start off from where we stopped, it was like every other year, the month that is most in demand for weddings and of-course wedding planners. 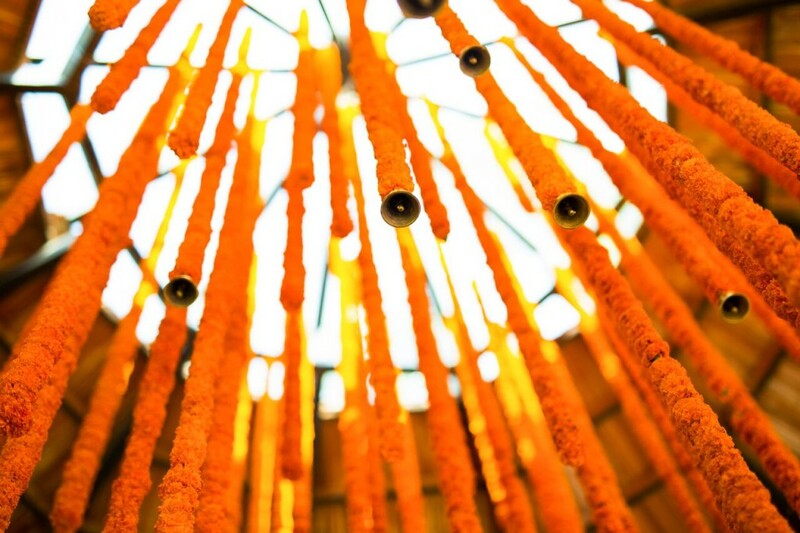 Yes, we are talking about the most significant month for Indian weddings, December. 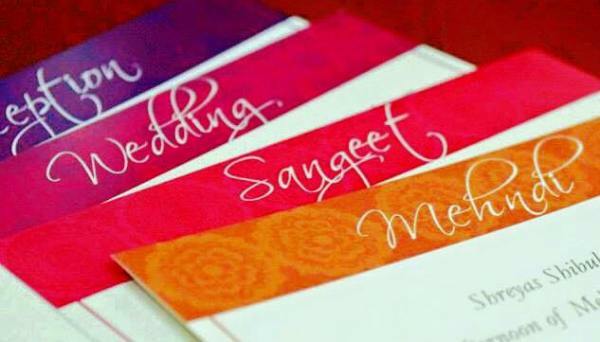 A month filled with love and romance is definitely a choice made by most couples to tie the knot and therefore making all the planners literally run on their toes. 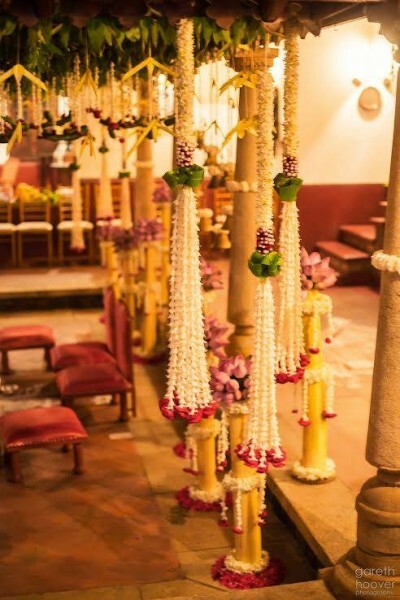 We were packed with back to back weddings which were all unique in their own style and ways. 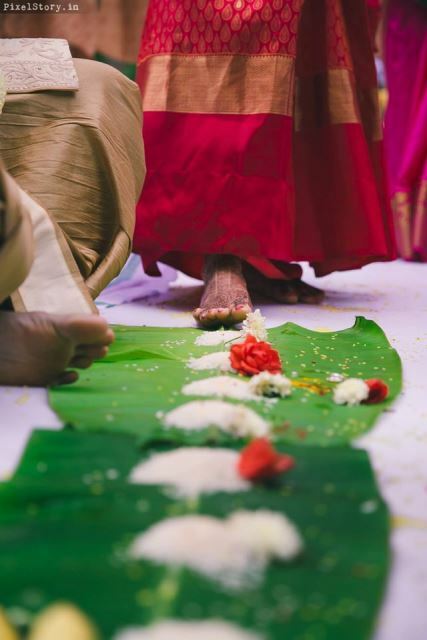 The month started with a typical South Indian wedding which was a three-day event starting with the main wedding ceremony followed by a reception and a post-wedding celebration for close family and friends. 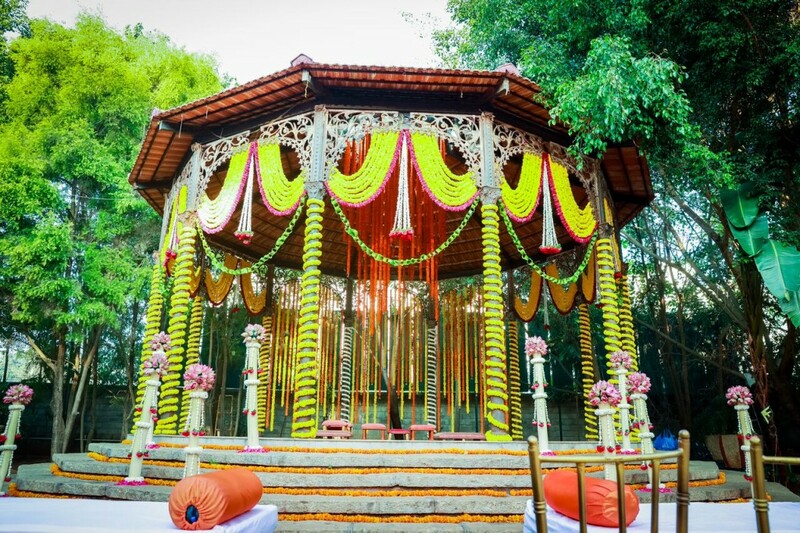 Then moved into an engagement ceremony of a couple who wanted to keep it elegant and cosy which was arranged in their private farm house away from the busy city center, where the event was again another typical South Indian traditional event. 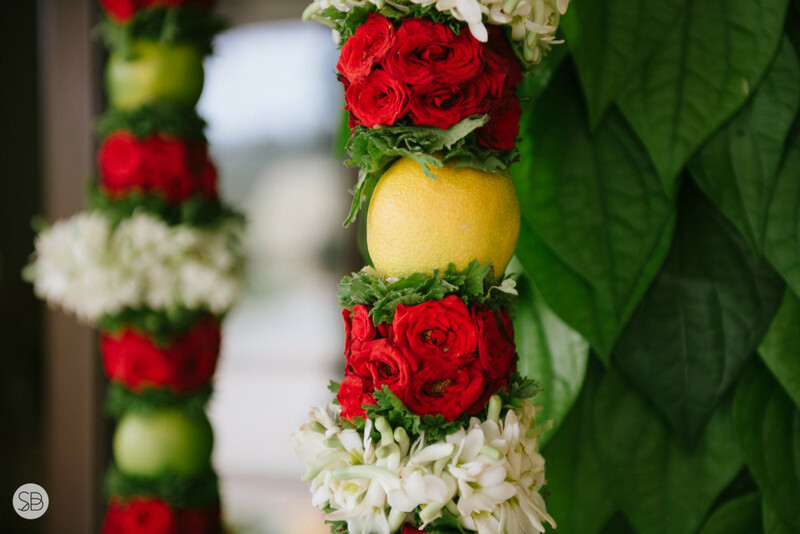 The team brainstormed into executing some really interesting elements for decor that gave it a very traditional style yet modern giving the couple exactly what they pictured. 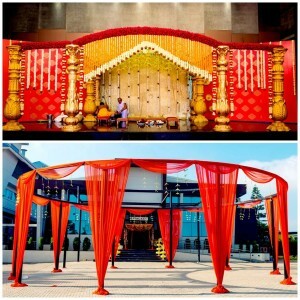 Soon after this we moved into another South Indian Tambrahm wedding, which was again a three-day event that started with the family coming together to put up a show which surely said both the couple’s families got talent. 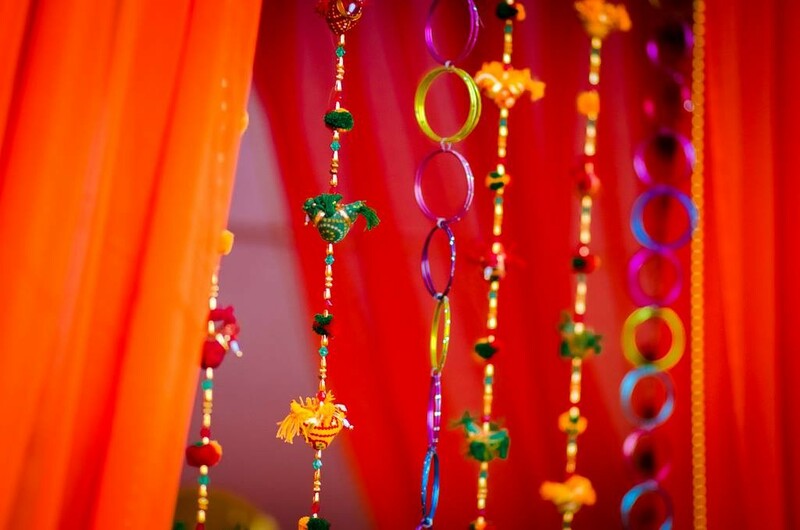 An evening filled with fun and dance followed by the Mehndi and Varapuja ceremony on the next day. 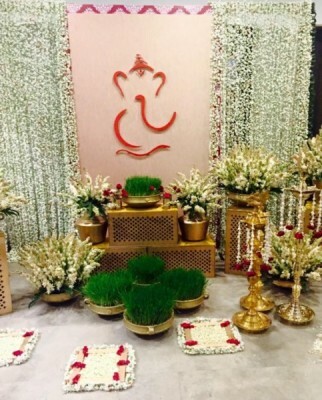 The third day was the most awaited day the wedding. 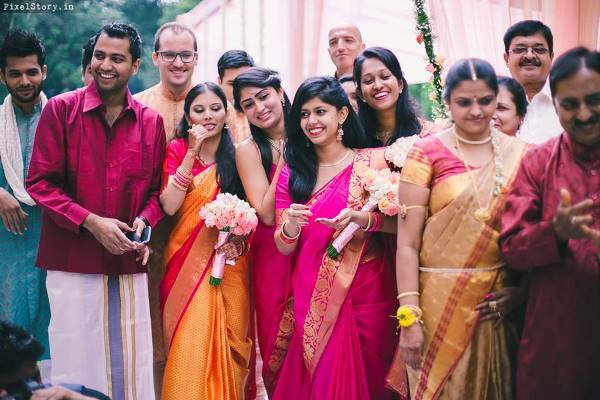 This doesn’t end here our team then immediately jumped into the next wedding fiesta which was the last one for the year 2016. 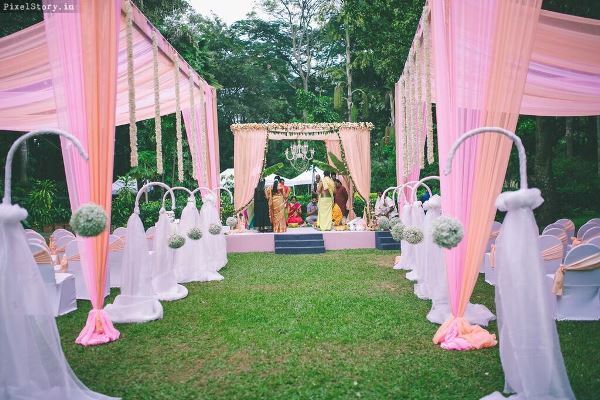 To say about this particular wedding, it indeed was a very intensively planned wedding. 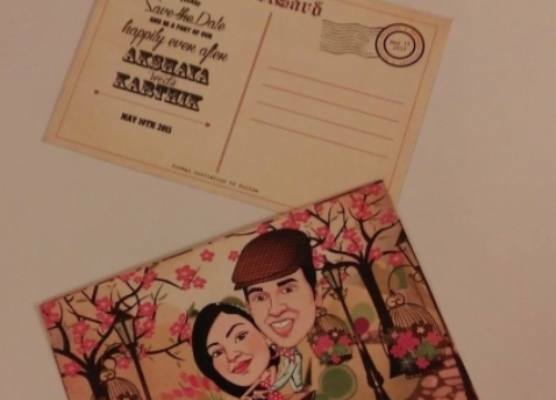 Being in touch with the couple for almost 8 months the team had been planning everything along with the couple starting from their Save the date, accommodation of their guests, logistics, guest management, planning their itineraries, event flow, various service providers till the moment they tied a knot. 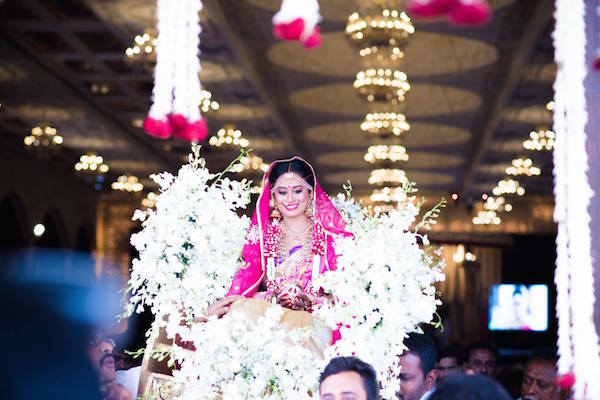 A wedding that blended two different cultures all together, one can say it was more like the North meets the South. 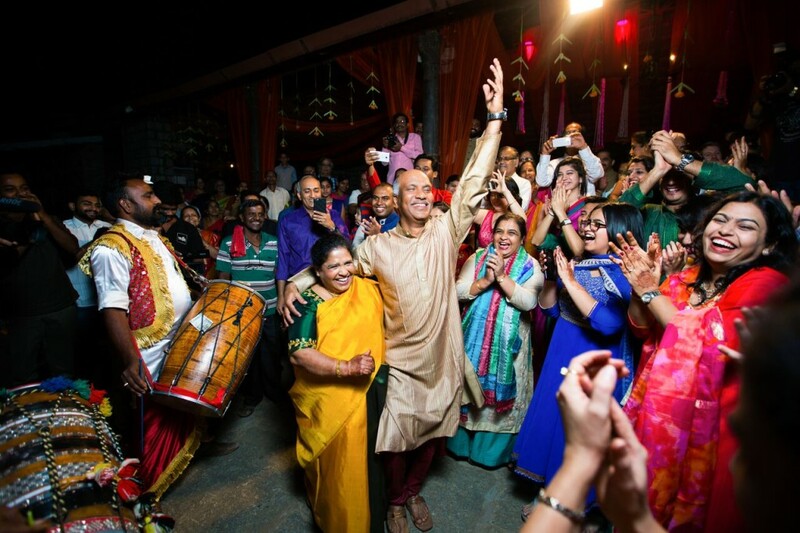 Another wedding that had a Mehndi ceremony followed into the Sangeet which had the couples family and friends from different parts of the globe come together and proved that they could definitely fit in and do it the Indian way. 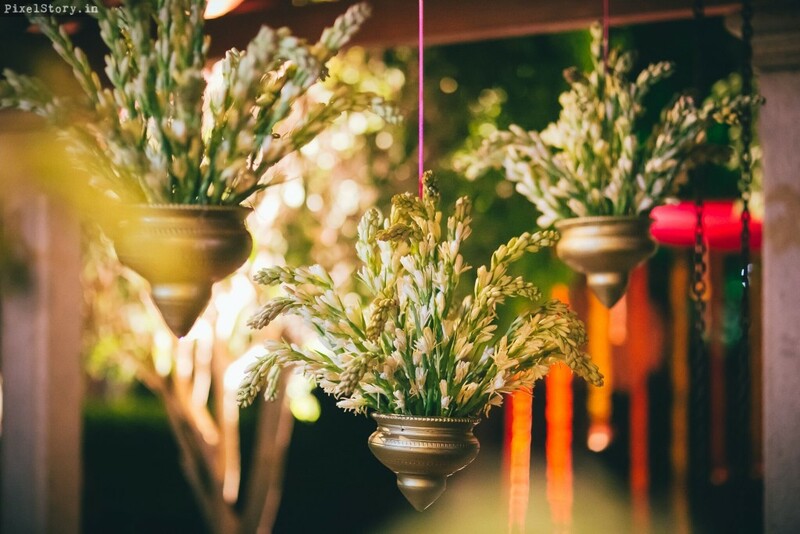 The next day was the wedding which took off with a Baraat without which the groom would have for sure refused to get married (That’s the Punjabi gene), the event that never sticks to a time frame that one plans. 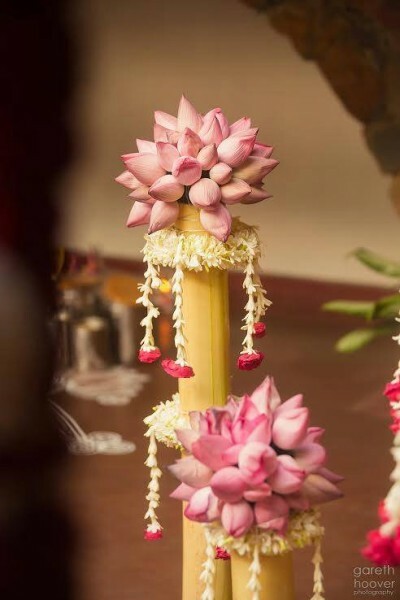 Well, finally the groom makes it to the wedding mandap followed by a grand bridal entry with the bridesmaids holding a plate of petals with a lamp and the traditional nadaswaram team followed by grand entry of the bride with her family which then followed into the main ritual of tying the knot. 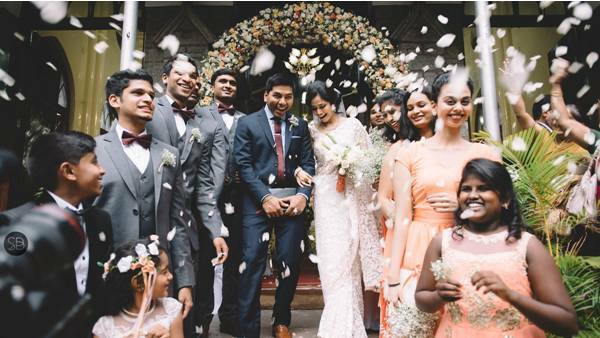 All the very best to all the lovely couples who gave us this opportunity to be a part of your big day. It doesn’t end here, we will soon post our stories of the weddings and the crazy times we have had for the new year of 2017. 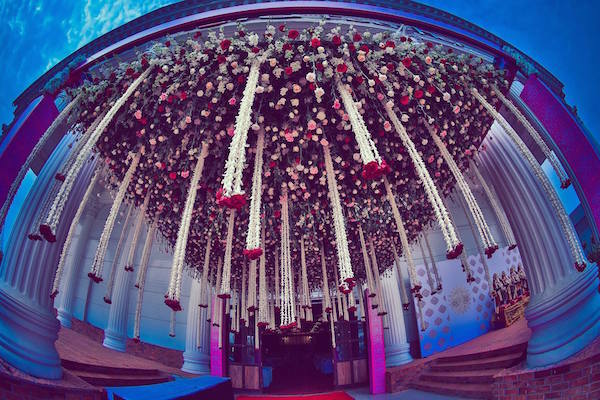 Meanwhile, here is a load down on the weddings we spoke about. 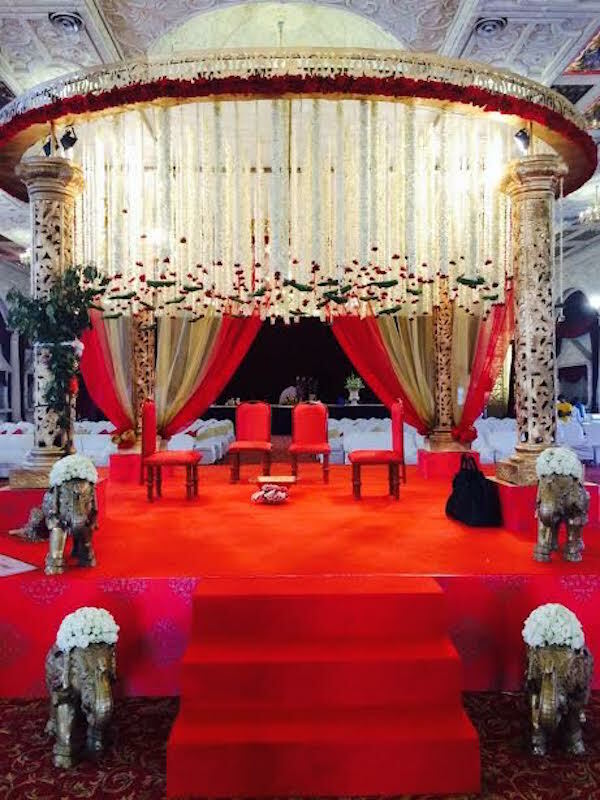 This entry was posted in Recent Weddings on March 6, 2017 by admin. 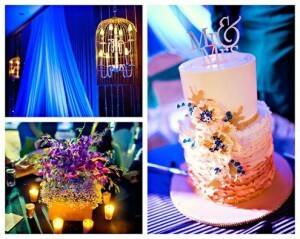 This ultra gorgeous, uber style ooze wedding we planned was such fun! 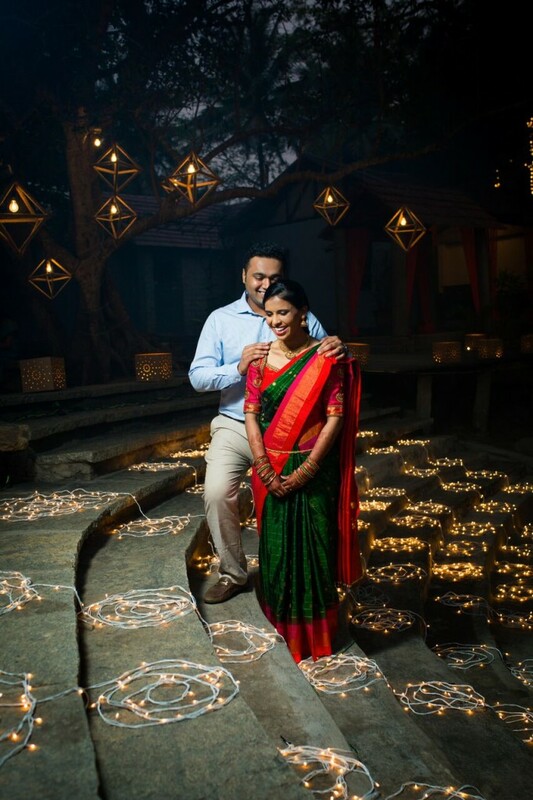 Thank you Savitha and Kishore for being the most wonderful couple to work with. 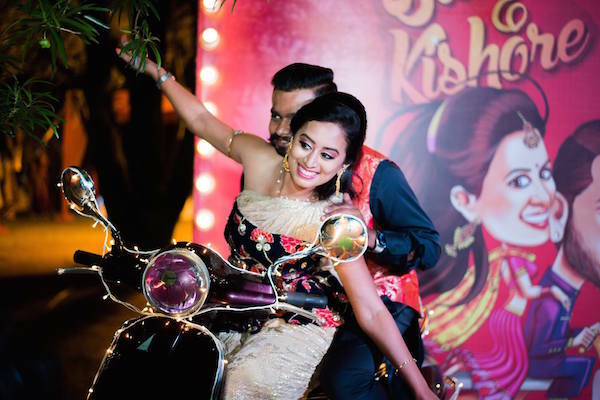 Savitha and Kishore met through their love for cars and automobiles and the relationship blossomed into love and courtship for 4 years before they became man and wife. 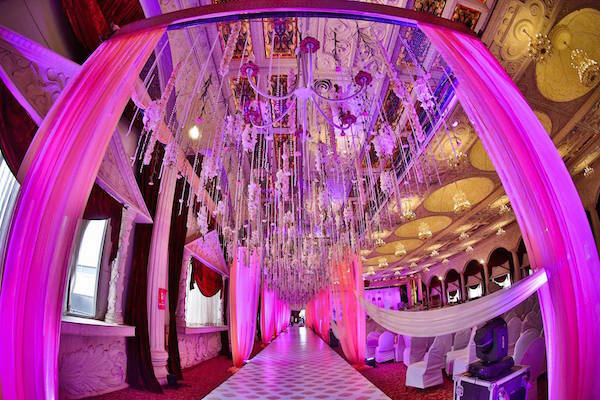 Our team of wedding planners from 3Productions helped plan all details of the 5 events – Engagement, Sangeeth, Mehndi, Wedding and Reception. 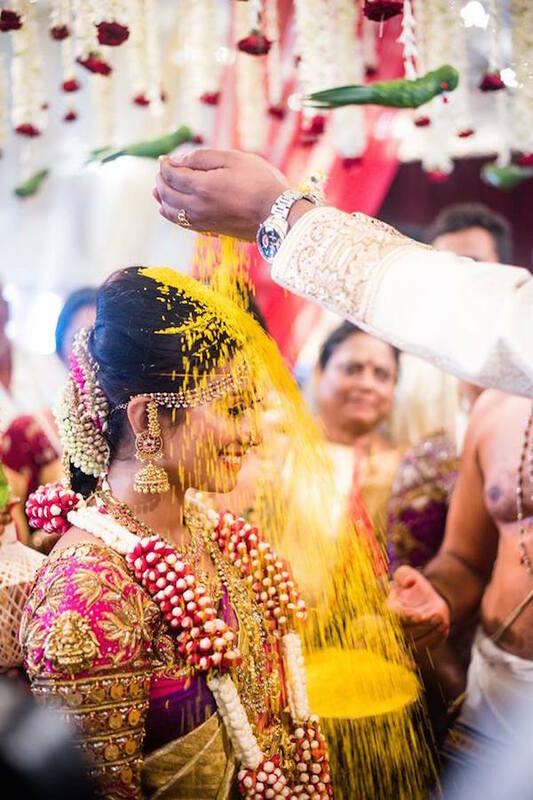 The engagement was bling and deep coloured. 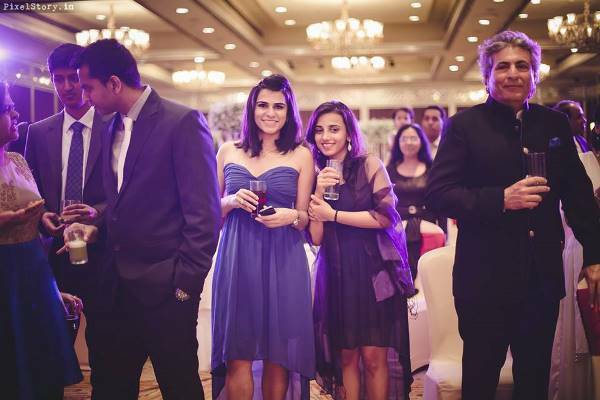 The Sangeeth was a night of letting loose and 2 primary focus points – Dance floor and the bar! 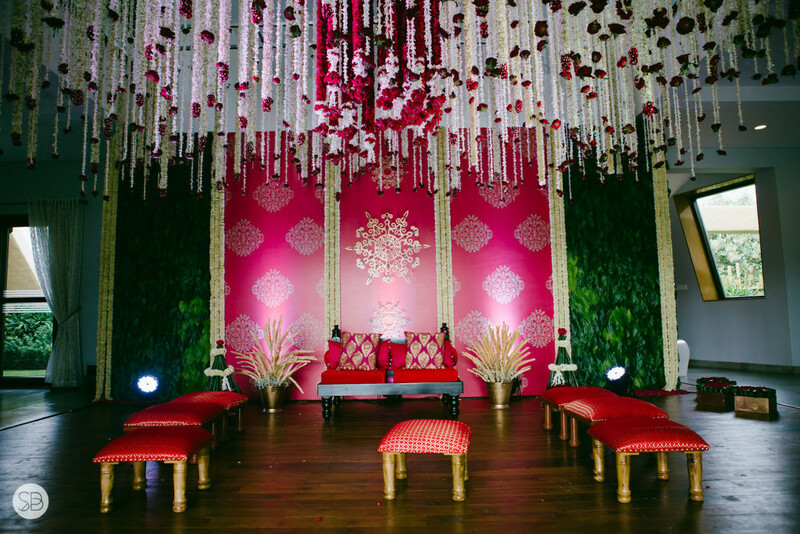 The Wedding was floral heavy and rich with red and gold hues. 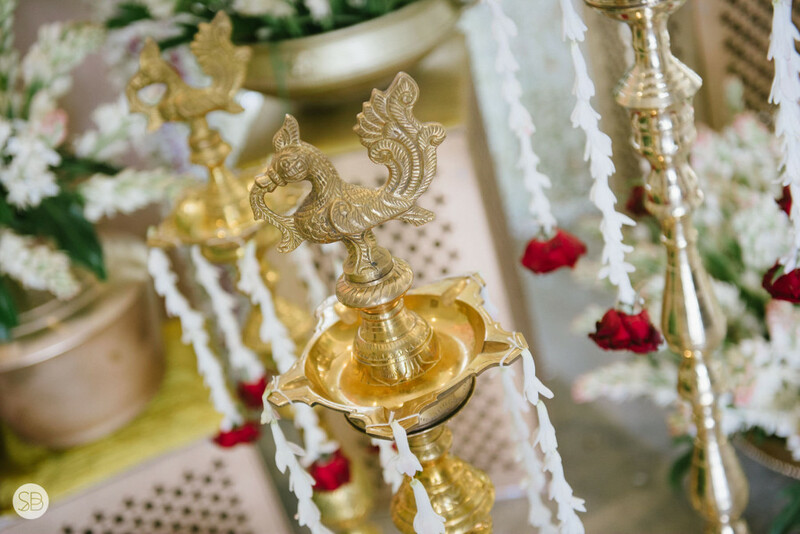 As Wedding Planners from Bangalore we understand the importance of a confluence of heavy and subtle which is what Savitha and Kishore’s wedding was to us. 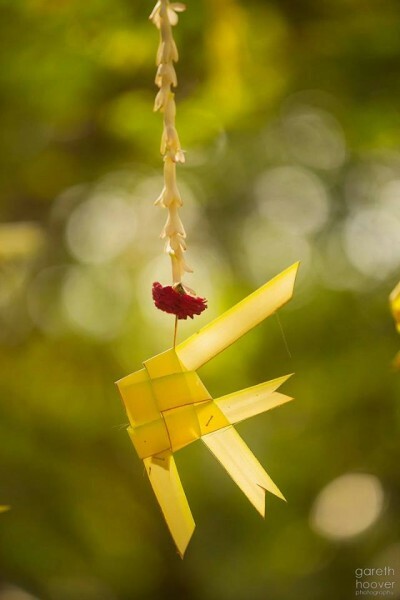 And also has the power of good observation which brings life’s into each and everything photographs. Gomtesh is a simple and humble person , with a very talented team . 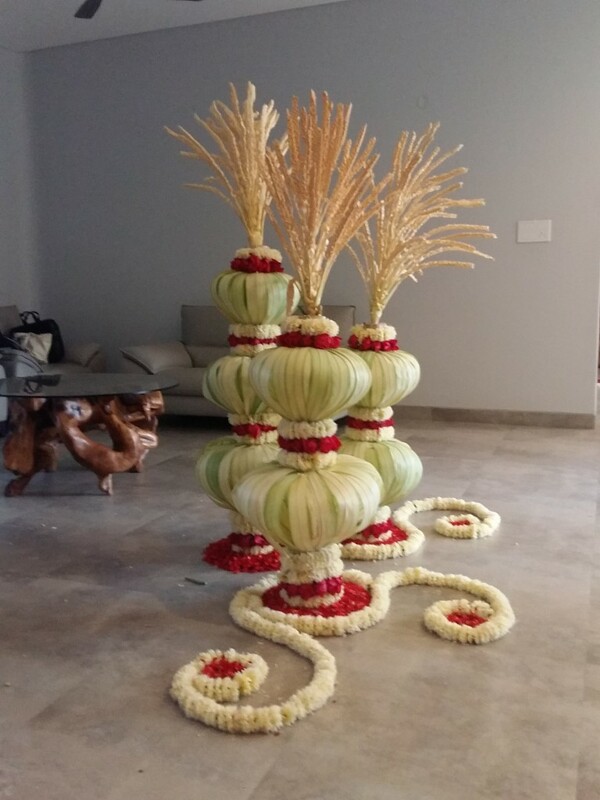 His nature shows the outcome of excellent work. 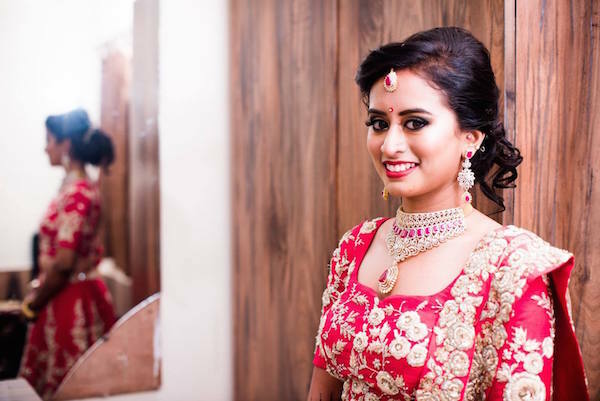 Manjush endeavours to give every client a flawless and stunning look by making wonders by her airbrush makeup. 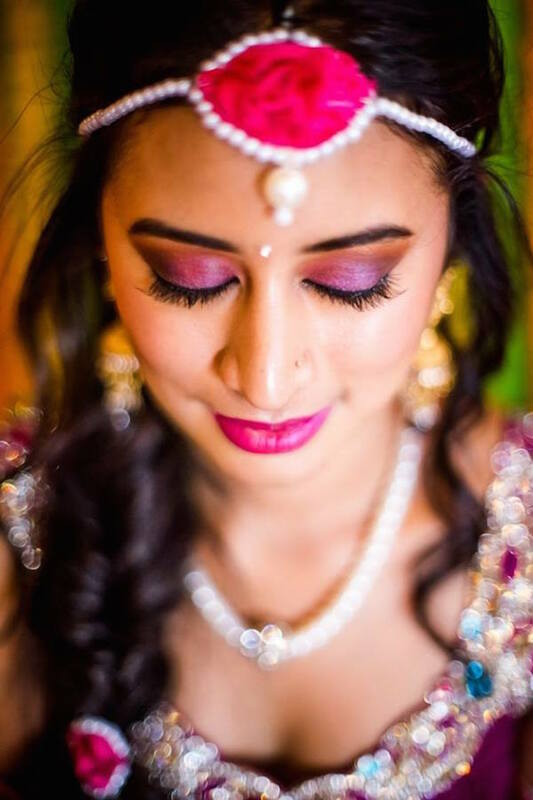 She’s one of the best makeup artist whom I have met lately. 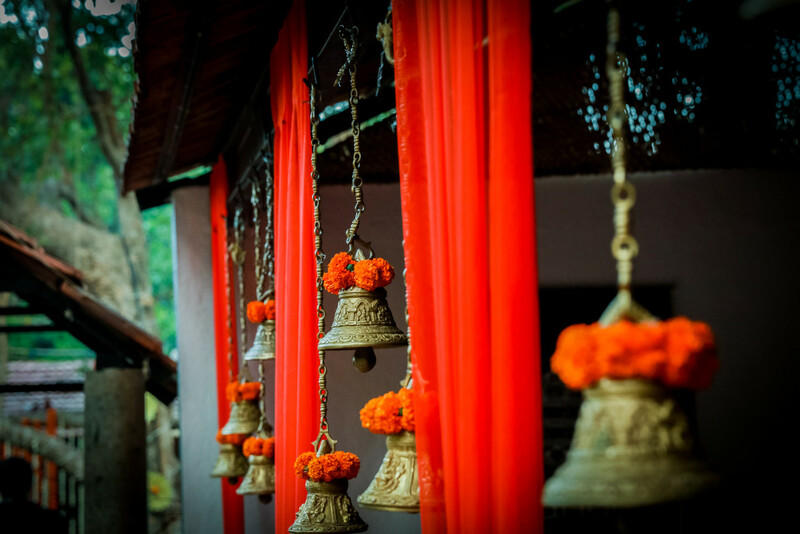 This entry was posted in Recent Weddings on November 2, 2016 by admin. 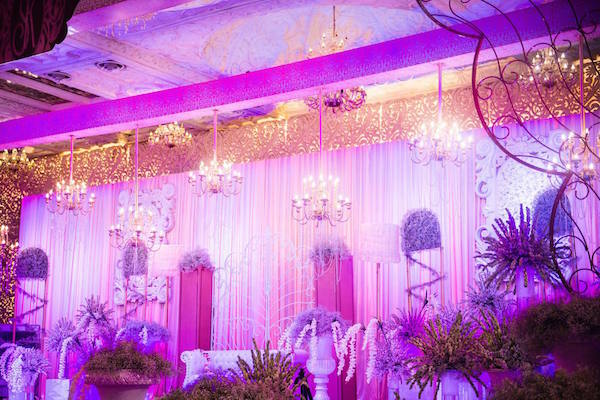 Polka Cafe featured us as one among the Top Indian Wedding Planners who do theme weddings. Thank you Polka Cafe for this wonderful feature. 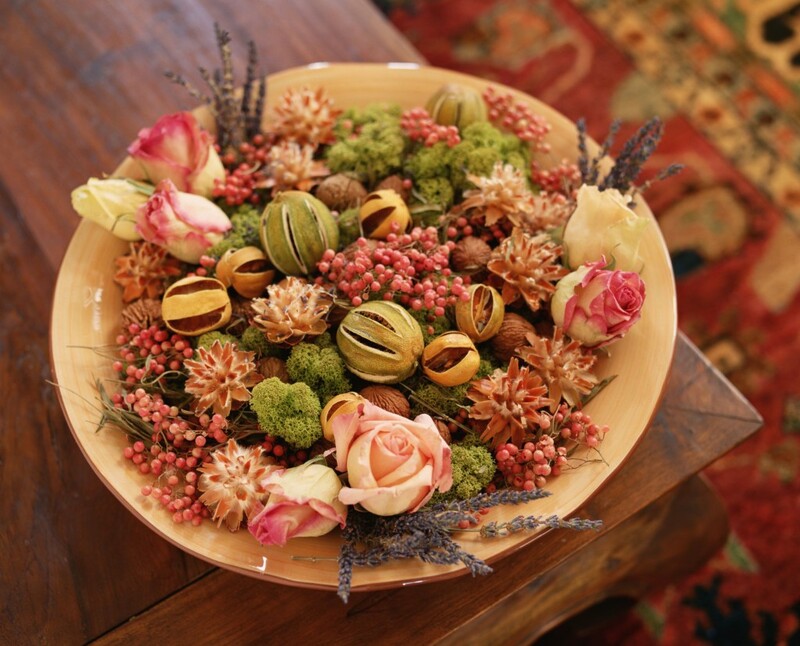 This entry was posted in Recent Weddings on October 21, 2016 by admin. Each time we come across a couple they are unique in their own ways. 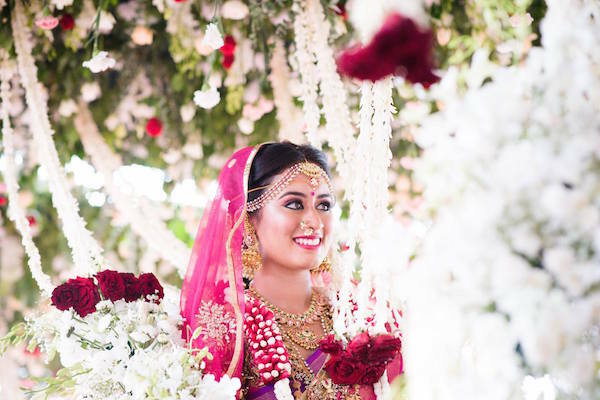 Nisha and Aditya was a couple who were calm as still water till the very end of their very beginning of being married. 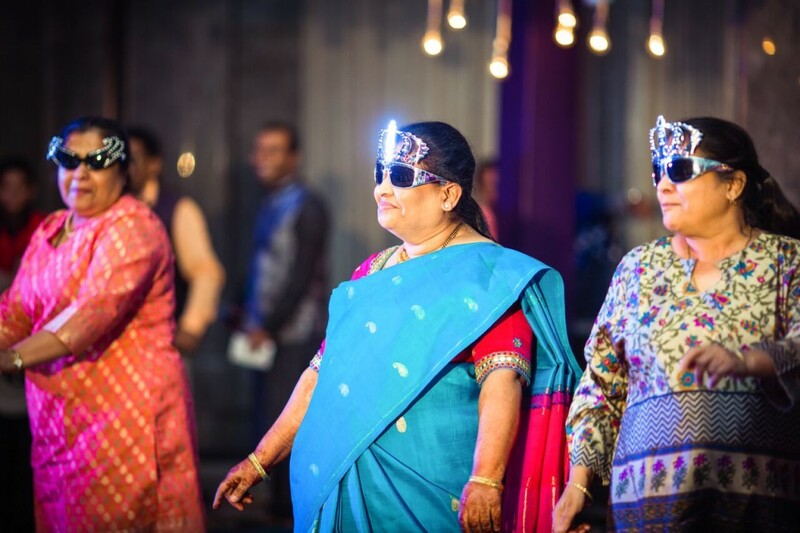 A wonderful family that we enjoyed working with from the very start till the final day which closed with a grand reception having DJ Jasmeet make every single person to get on their toes. 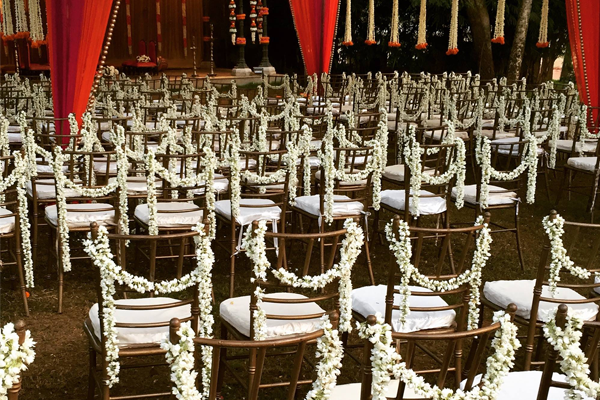 Something that I did notice during this event was that though our team was working round the clock with back to back weddings lined up there was no less energy or enthusiasm in each of them. 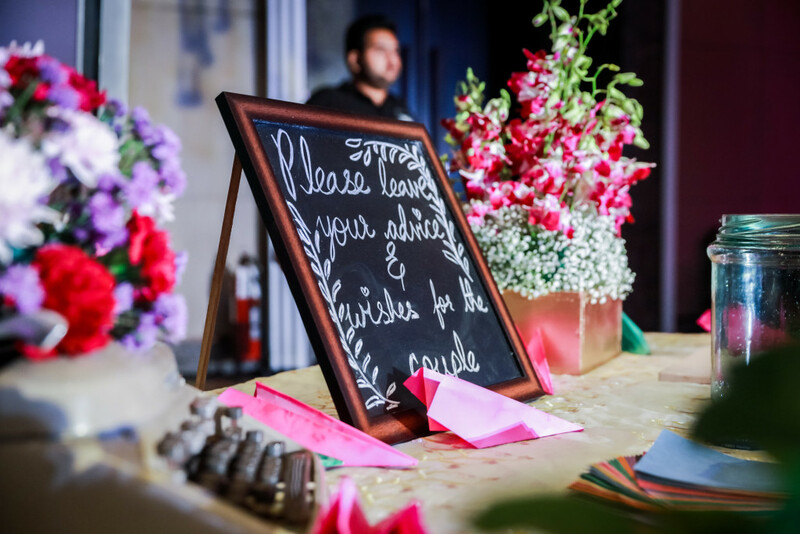 The team handled every bit of the wedding starting from planning, invitations, and logistics to guest management making sure that every individual was given attention. Thank you Nisha and Aditya for this wonderful opportunity that you gave us and it was a pleasure to work with your entire family. 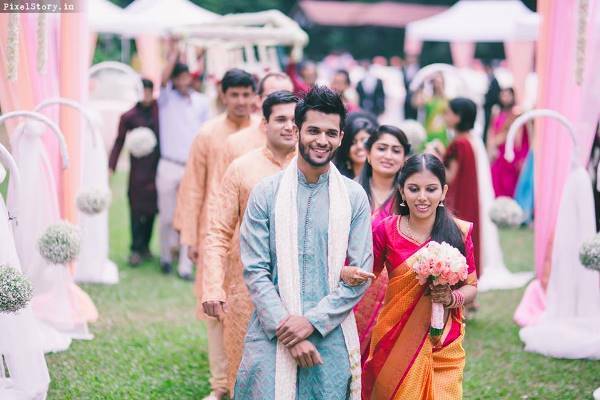 Here is a run-down of the wedding moments, starting from Mehendi followed by Sangeeth and the next day kicked off into the wedding ceremony and closed with a reception. Our team managed everything from end to end. 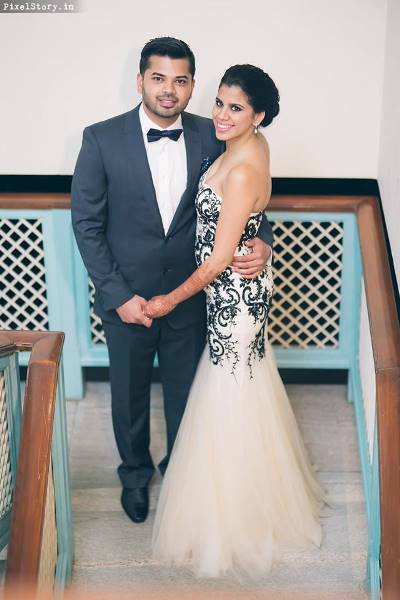 This entry was posted in Recent Weddings on July 22, 2016 by admin. 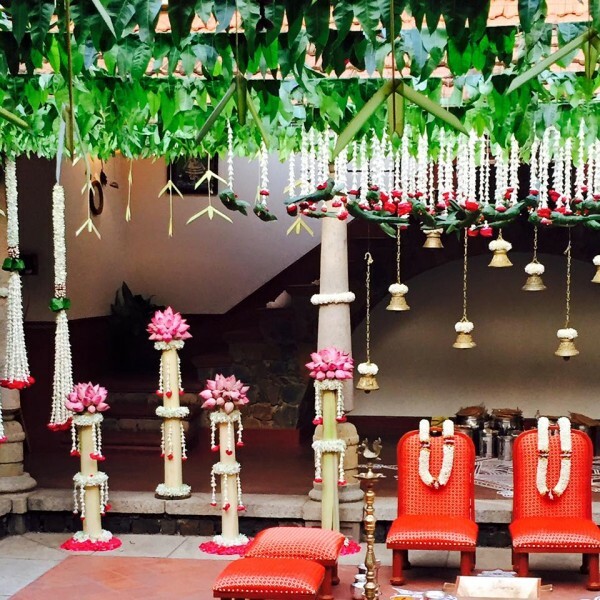 Tired of the same ideas at every South Indian wedding you’ve been to? 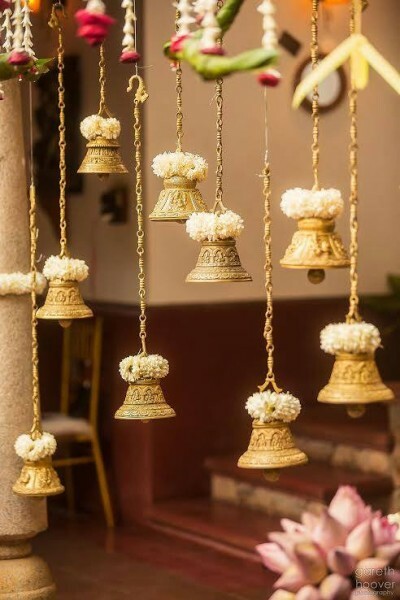 Worry not, as we’ve got some interesting tweaks and twists to give your wedding a unique appeal and character, that would be talked about for eras to come! 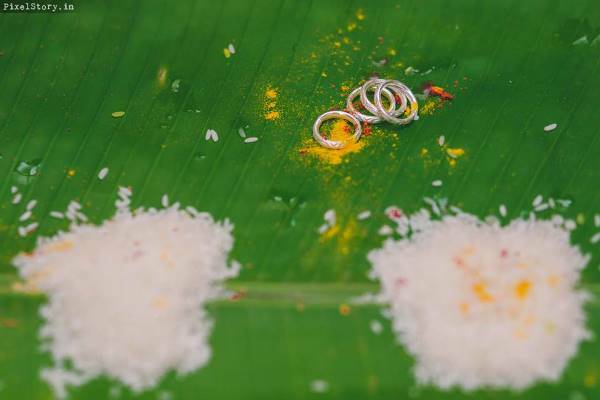 Food is an integral part of every wedding, lest just of South Indian ones. And evidently, food bars have taken the internet by storm. 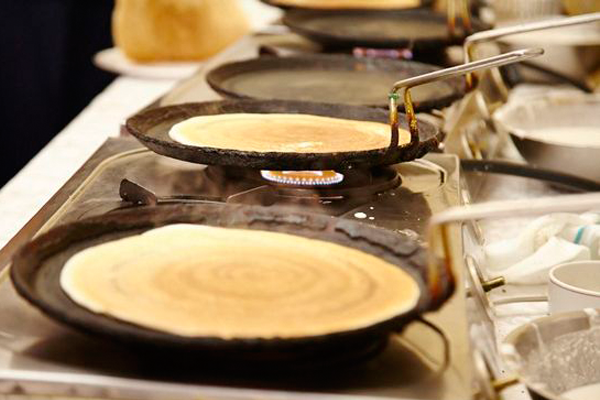 But what if we told you that you could impress your guests (and surprise your taste buds, as well) with these innovative takes on South Indian food preparations, and include them in your custom South Indian food bar – Yes, it’s possible. Don’t be fooled, these are still your delicious, go-to idlis. 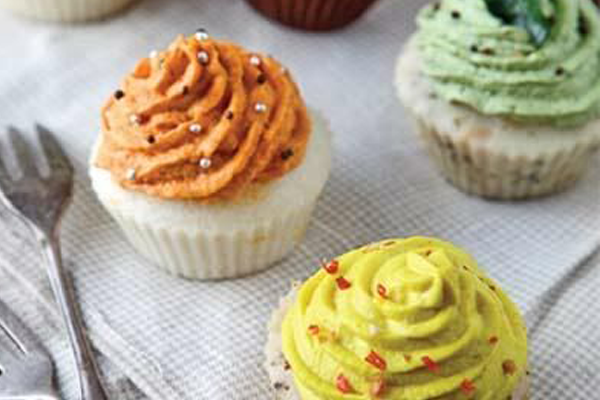 Only, they’re disguised as pretty cupcakes with a variety of chutneys as the “icing”. Would be great as a grab-and-go item. 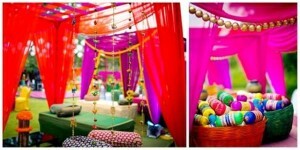 We’ve come across pasta stations, chaat stations, what-have-you. But how about an american inspired filling, or perhaps a nutella stuffed one for dessert? Sounds strange? You’ll only ever know if you only ever try! 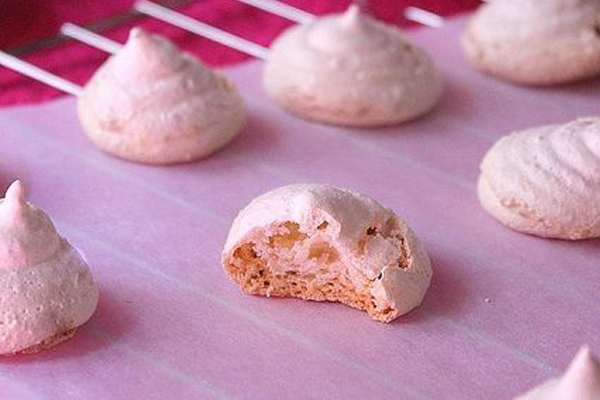 Ditch the quintessentially-french macaron fad, and give these Thutukodi Cashew Macaroons a shot! We bet these haven’t made an appearance on that dessert table, just as yet. 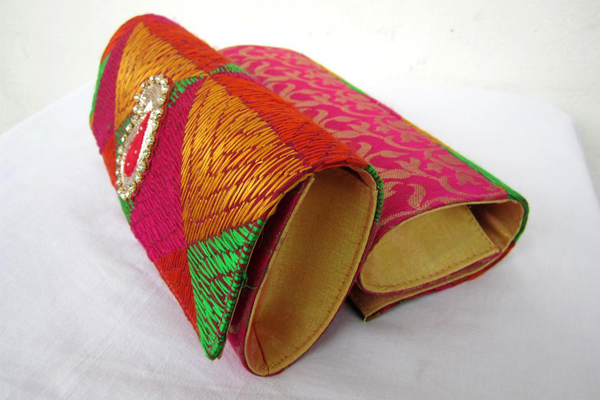 4) Nariyal Pani – with a Pop Of Colour! We know, we know. 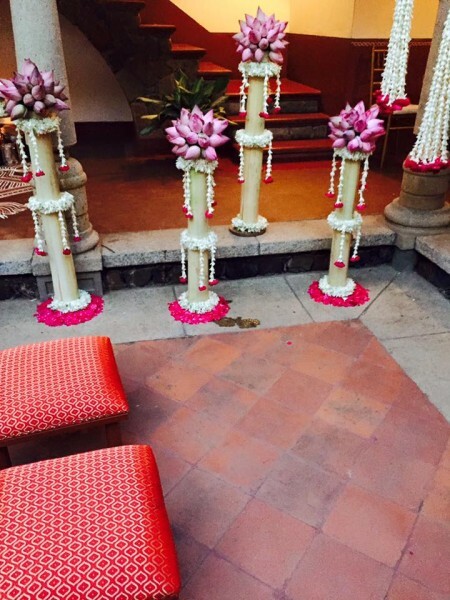 You’re probably thinking – Nariyal Pani at the wedding? Really? But only, these look way cooler and are totally doable. 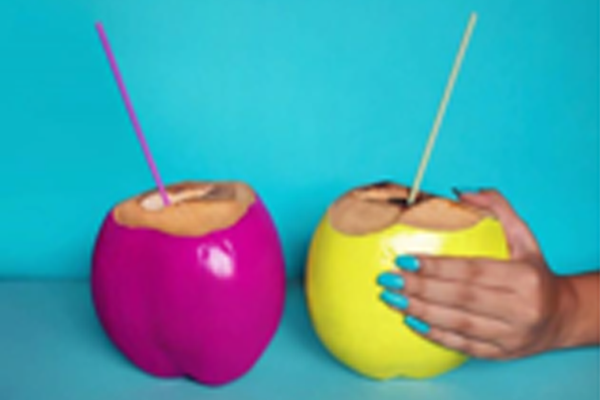 Adds a fun pop of colour to spruce up your beverage bar – and your guest’s moods. Starting your day with a hot serving of filter coffee is a usual occurrence in our lifestyles. 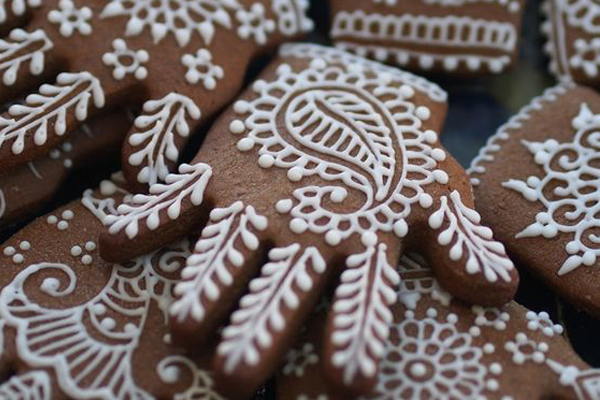 But what about ending your meal with these lovely, almost too-pretty-to-eat filter coffee henna cookies for dessert? 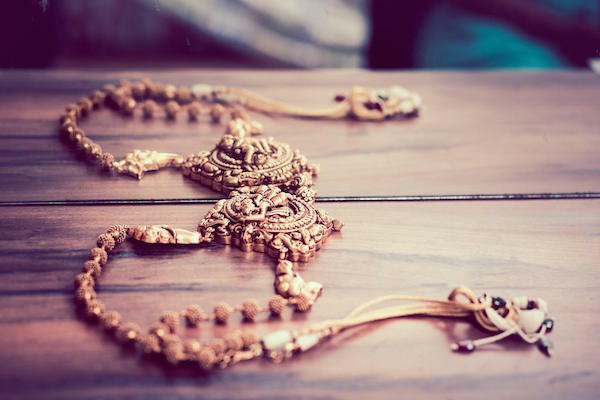 Use them to grace your dessert table or as lovely mehendi give aways! 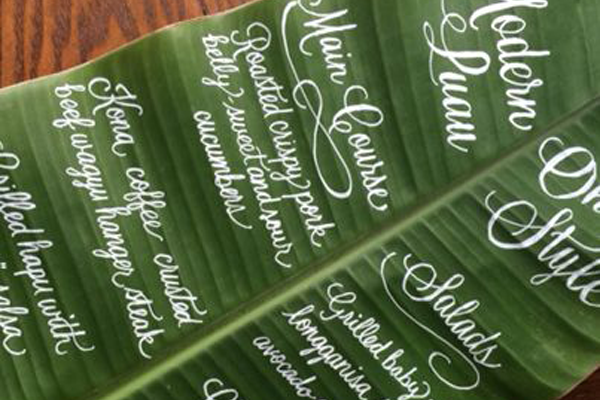 Sure, we’ve all eaten our meals from a banana leaf before, but what about using them as a menu to let your guests know what’s on the spread? 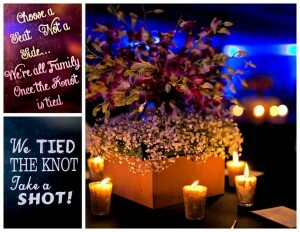 These can be hand written and placed around your table settings. 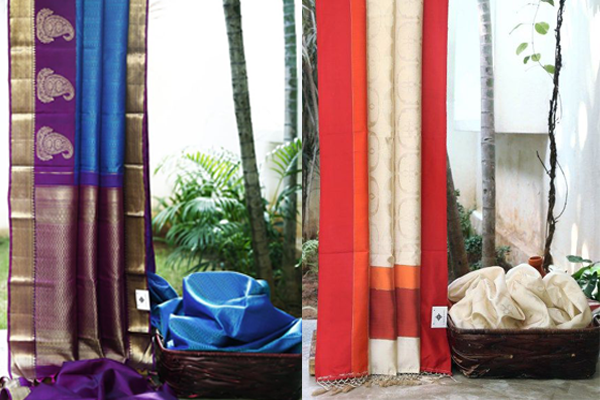 Southern India has undeniably vast textile wealth and abundant weaving regions, from where the Kanjipuram silks to the Mysore crepes stem from. 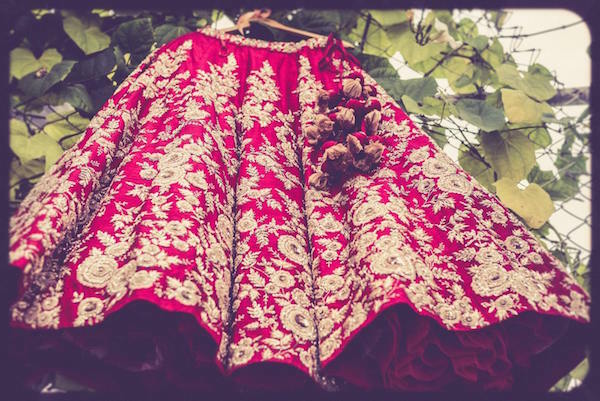 Often, we tend to overlook the beauty and richness of these fabrics – but now you could probably put your mother’s abundant collection of these to better use. How? 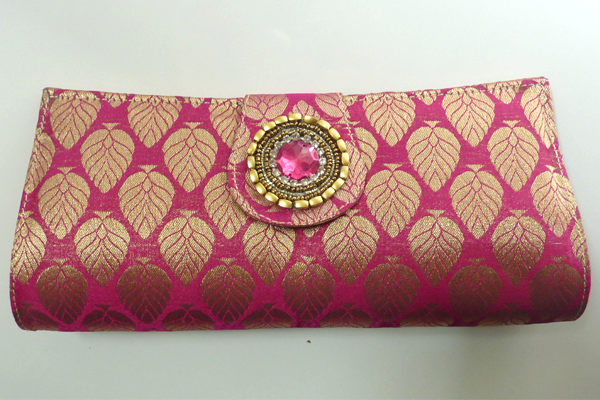 Here’s an interesting idea to give away as favours to your girls – Repurposing brocade or silk fabrics into pretty clutch purses, or you can purchase them from your local markets. 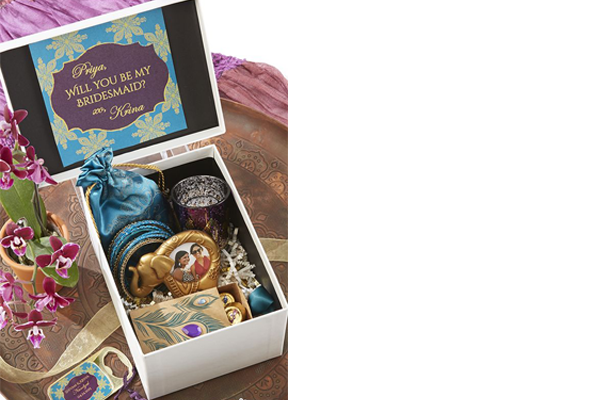 We know how much the bride loves her girls, and what better way to make their day by presenting them with a bridesmaid proposal box? 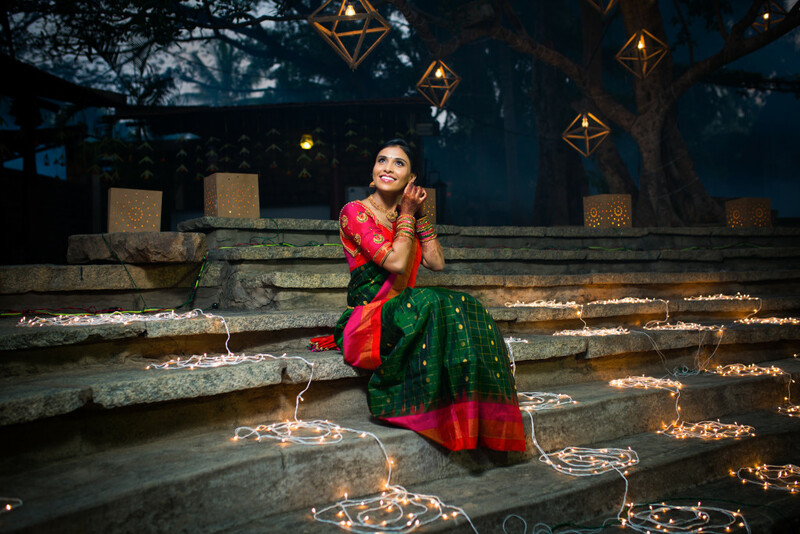 A set of bangles, bindis, some sweets, even a saree if you wish to, and a whole lotta love – you surely can’t go wrong with this idea! 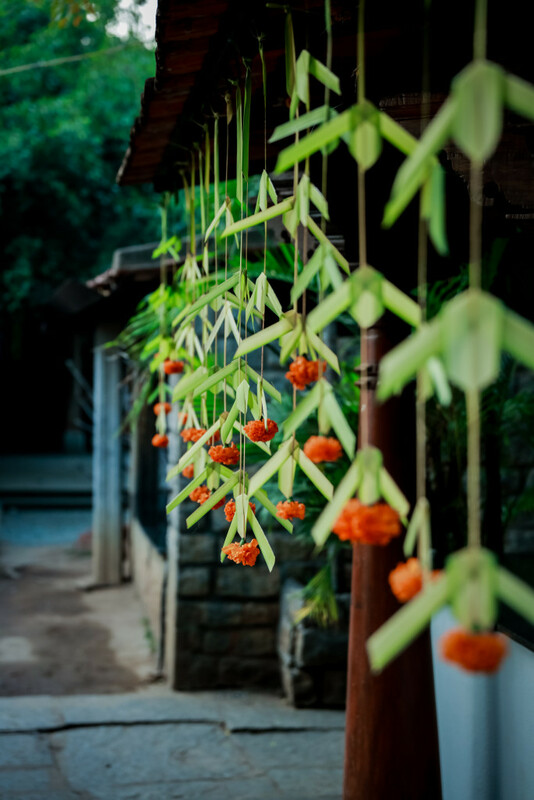 Everyone knows that jasmine flowers are an integral part of South Indian ceremonies, and often used extensively in decor as well. 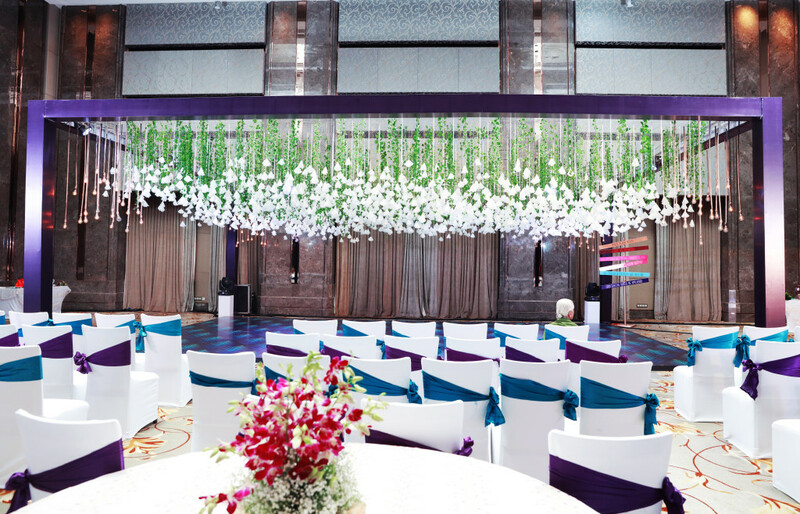 Combining the ombre trend with the use of jasmine garlands, here’s an interesting way to create a mogra curtain cascading from high ceilings. Banquet chairs are so passé. 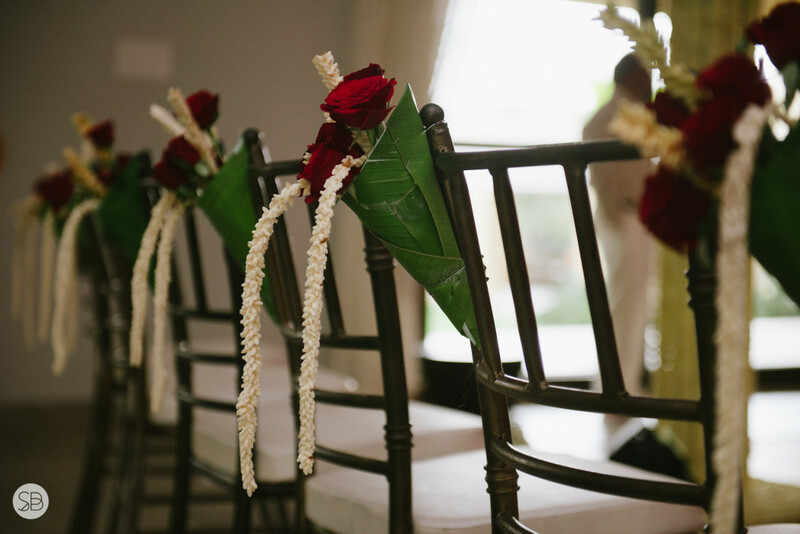 Why not opt for tiffany chairs instead and drape jasmine garlands over and around them for a tradtional look masked with opulence. 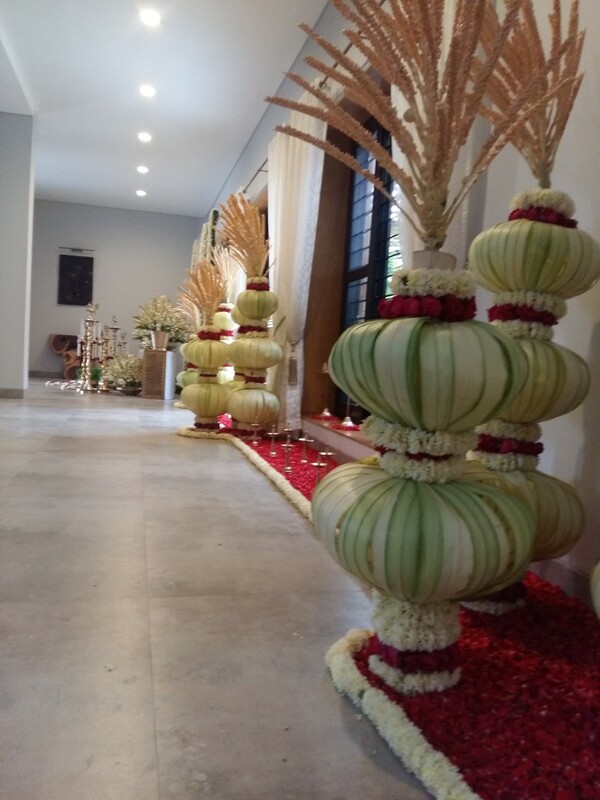 This entry was posted in Recent Weddings on May 10, 2016 by admin. 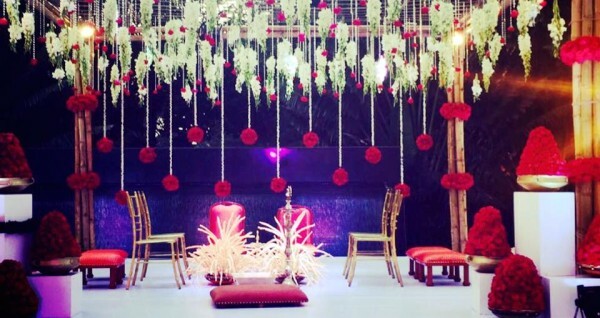 Wedding planning is a long and tedious process which usually starts almost ten to twelve months in advance. Although fun and exciting, it can get stressful and tiresome. What goes into it is a lot of thinking, planning, estimating and decision making. 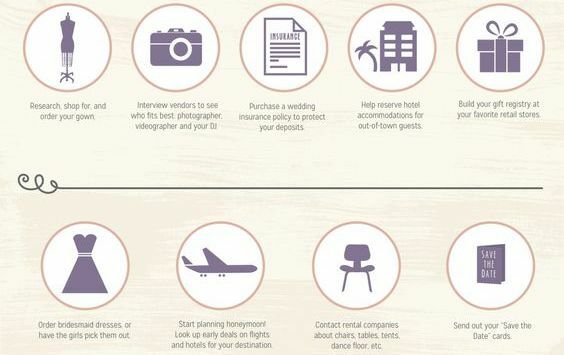 Here’s ideally how you should start planning your wedding and things you should be doing as you get closer to your dates. 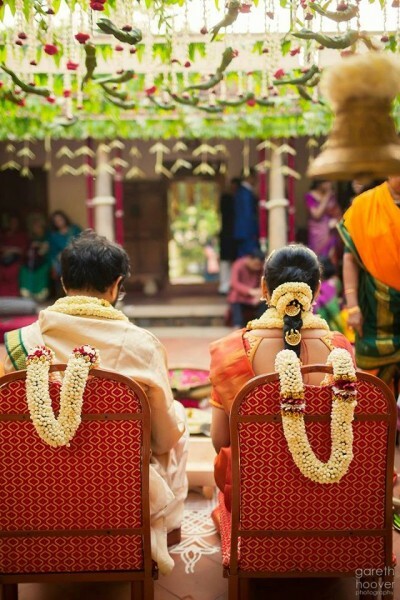 You should start off planning a minimum of seven months before the wedding dates. 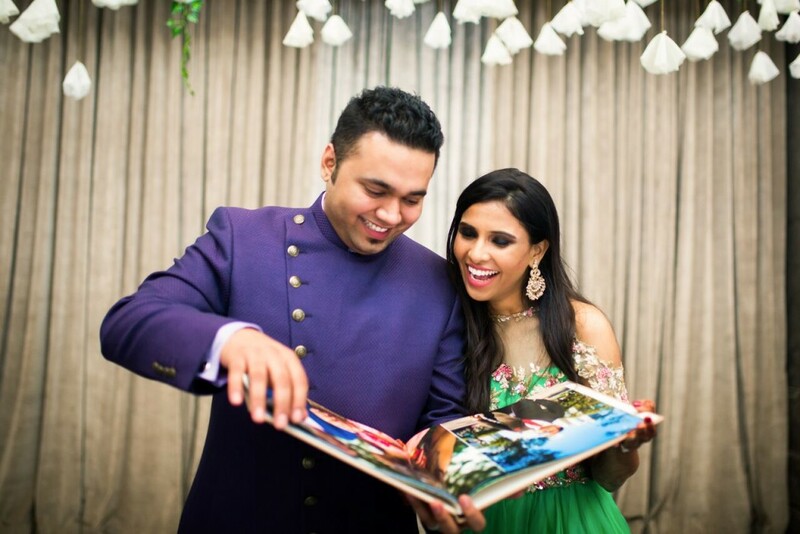 Make sure to keep a wedding binder which will have all details regarding your wedding right from guests to vendors to venues to dates. 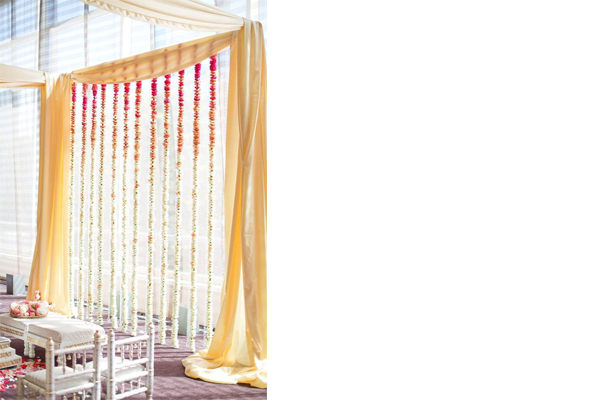 Approximately nine to ten months before your wedding, start estimating and have a budget in hand. 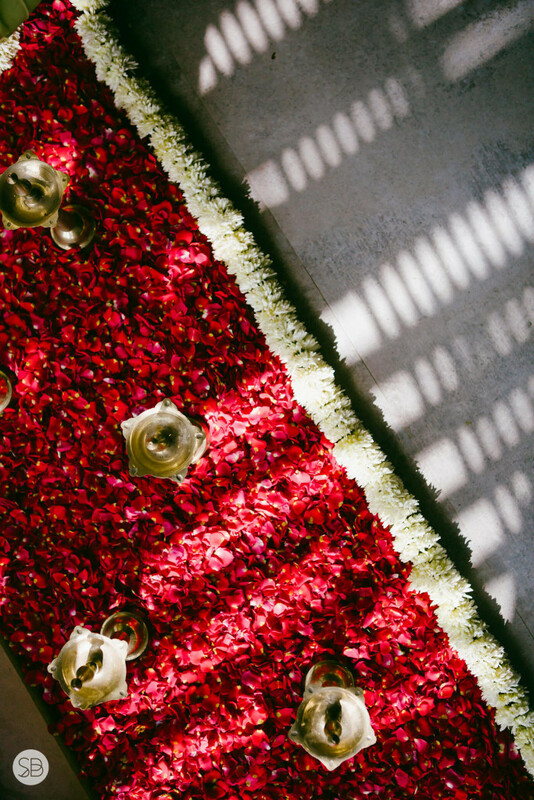 This should be your first step, so you can make your wedding planning easier and work around this budget. 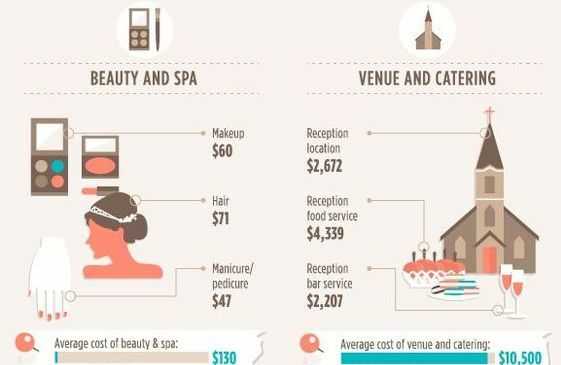 This will give you a fair idea as to how much you can spend on each aspect of your wedding. Next, it would be ideal for you to start fixing dates. 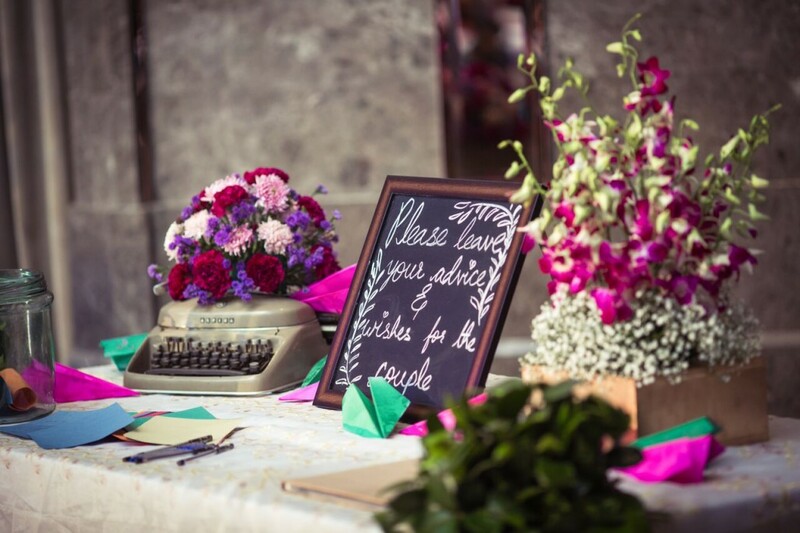 Once you’ve done that you can start to make announcements so people are aware of your wedding. 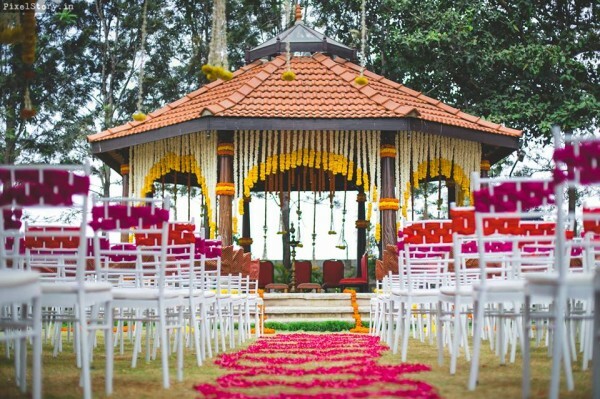 After fixing dates, go hunting for venues. Since you have a budget in hand, you can check out places that meet your budget. 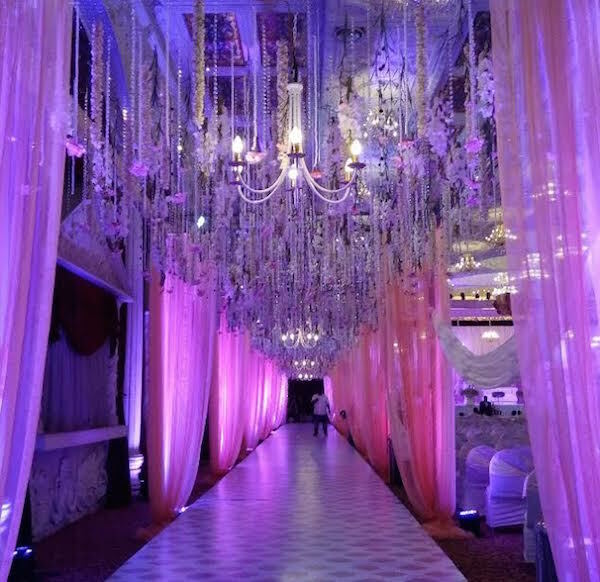 During venue hunts, you must know approximately how many people you are expecting for each event because you don’t want your venue to turn out to be too small neither too big! 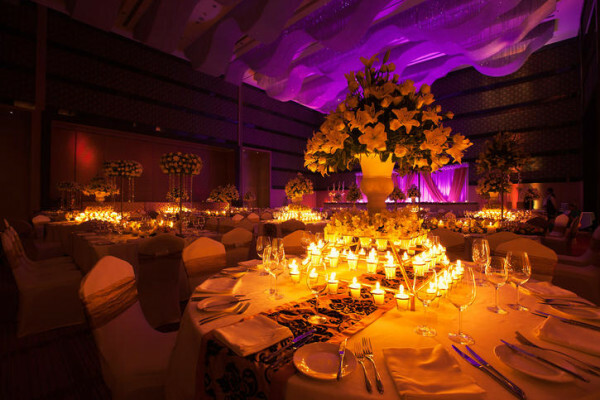 Also make sure that the city your venue is located in is easily accessible to those who you really wish to have attend your wedding. 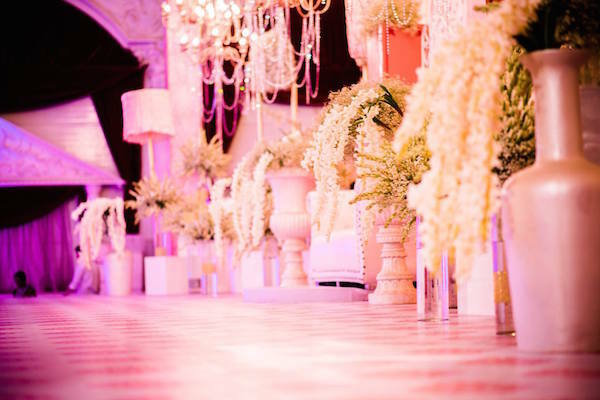 Side by side, keep researching on photographers, dj’s , florists, caterers, etc., make sure to note down all these contacts so they’ll be easily accessible to you when you start your bookings. 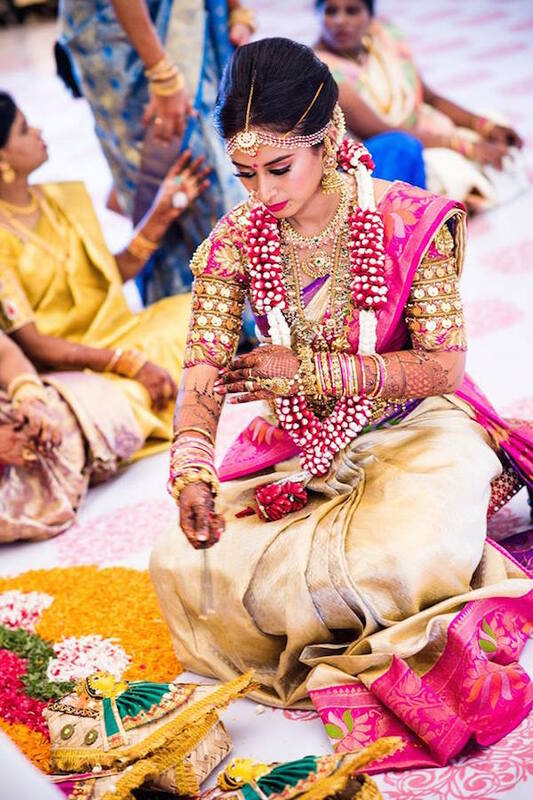 Once all of the above is complete, narrow down on the best photographers and videographers, meet caterers, and all other vendors that you would require at your wedding and hire them all. After you’re done hiring, start listing guests who will be attending from out of town. 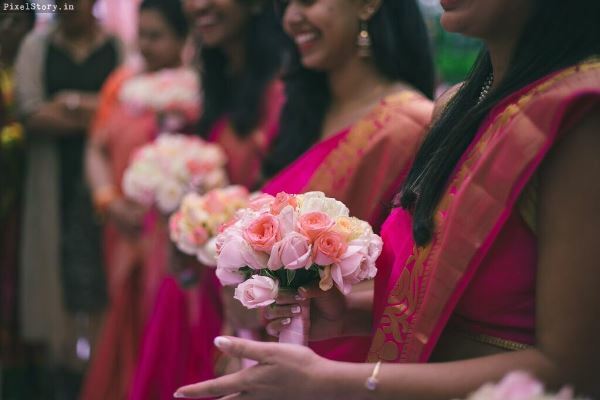 Make a list of these guests and send out ‘Save the Dates’ so you can confirm their attendance and book the right number of rooms, ideally at a hotel nearest to your wedding venue. 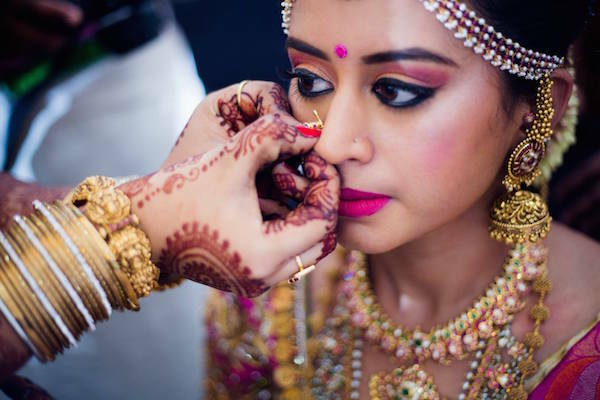 If you wish, you can also launch a wedding website which has all updates related to your wedding for your guests to access at any time without having to disturb you. This should be followed by meeting a designer for the bride & groom’s clothes. 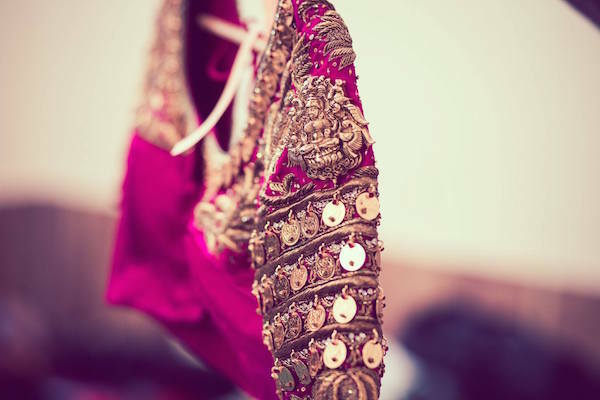 Get your clothes designed and in place at the earliest. 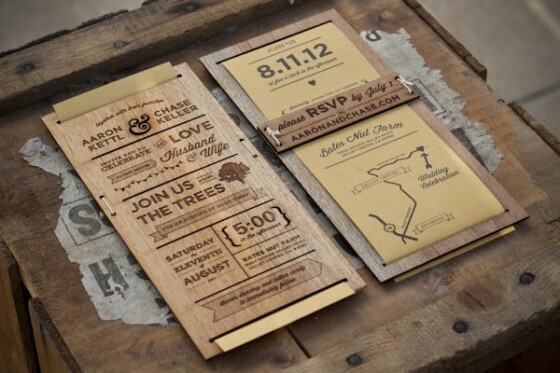 Four to five months prior to your wedding, design your invites, get a draft and approve of it. 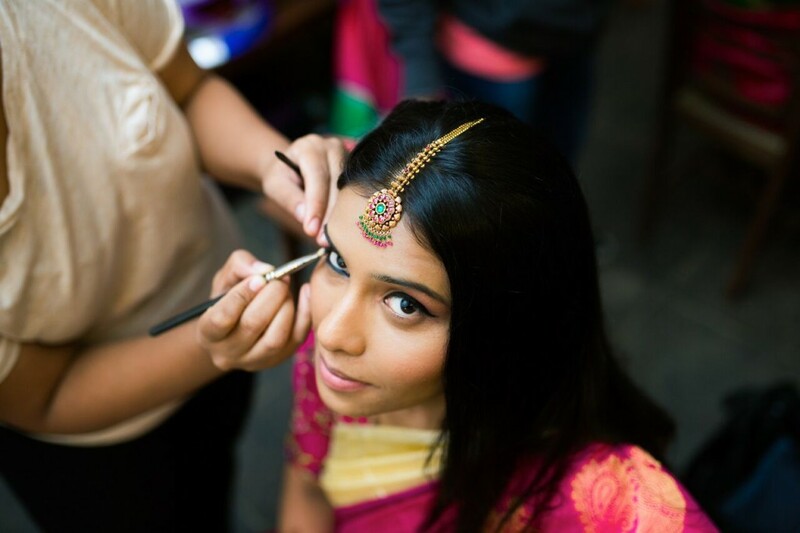 Schedule your favourite hair and make-up artists so they’re free for you on your special day! 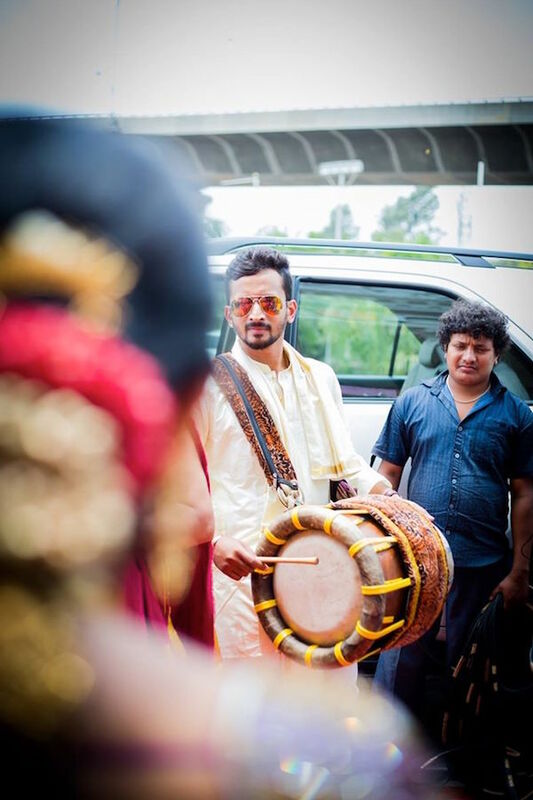 You can then work on other things such as the list of people who will perform at your sangeeth, the music you require and choreography too. 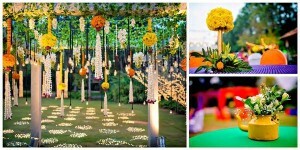 Two months in advance, you can begin to send out your approved invites to all your guests, and make calls if required. Be sure to run through all events and check whether everything is in place. 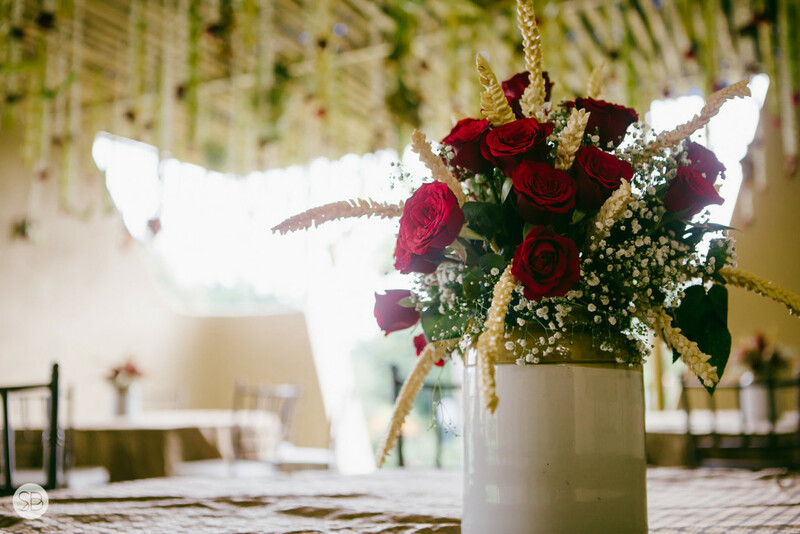 Approximately two weeks before your wedding, speak to all your vendors just to remind them of what your requirements are. Try on your dresses and check whether everything fits and looks okay. 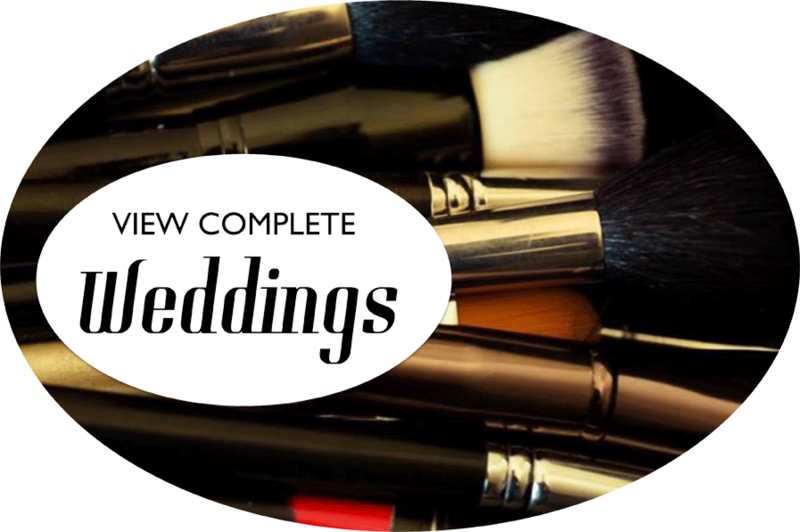 Coming closer to your wedding dates, contact all guests who haven’t RSVP’d and follow up on all your appointments and get your final haircut and colour! 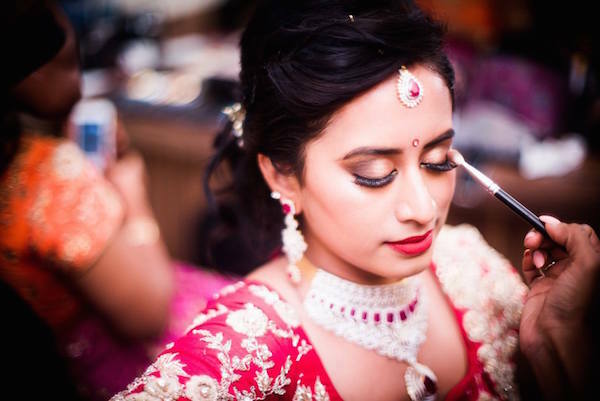 Before your big day finally arrives, make sure you get lots of rest to look your best and enjoy your wedding to the fullest! 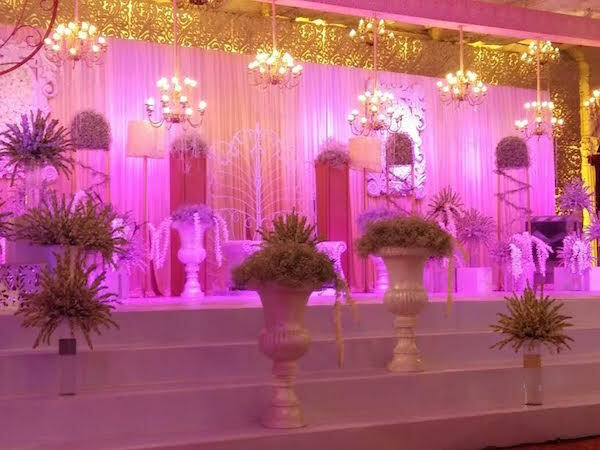 This entry was posted in Recent Weddings on May 9, 2016 by admin.